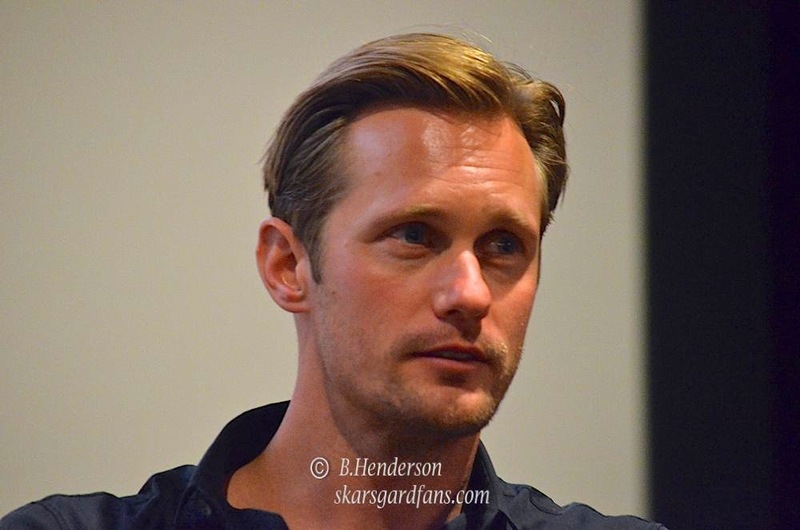 Finally new photos of Alexander Skarsgard have surfaced from Season 7 filming of True Blood! 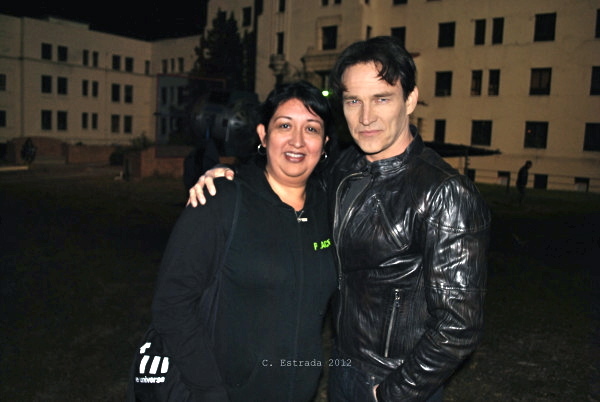 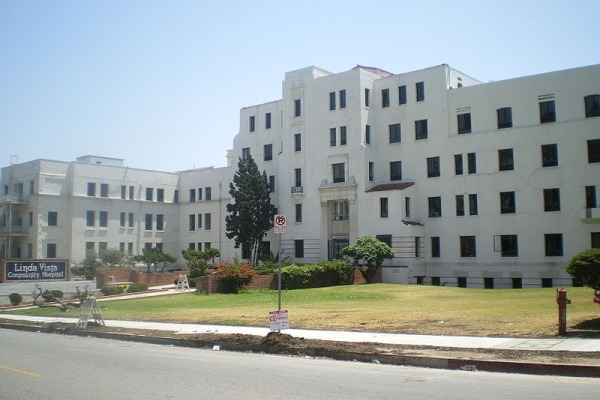 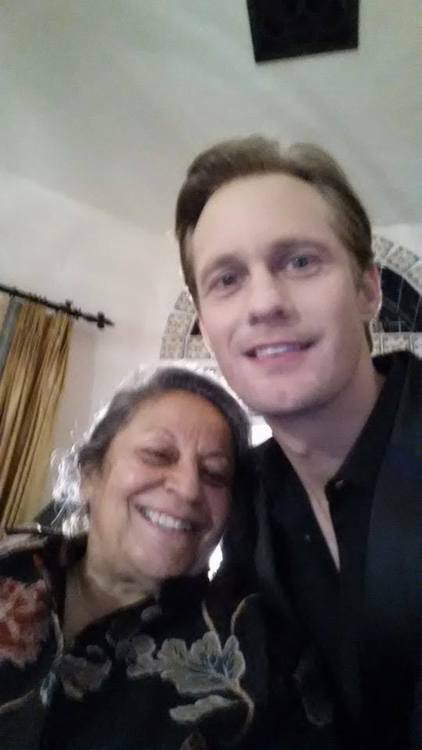 I Actor posted 2 photos from the selfless taken with Alex on the set of True Blood. 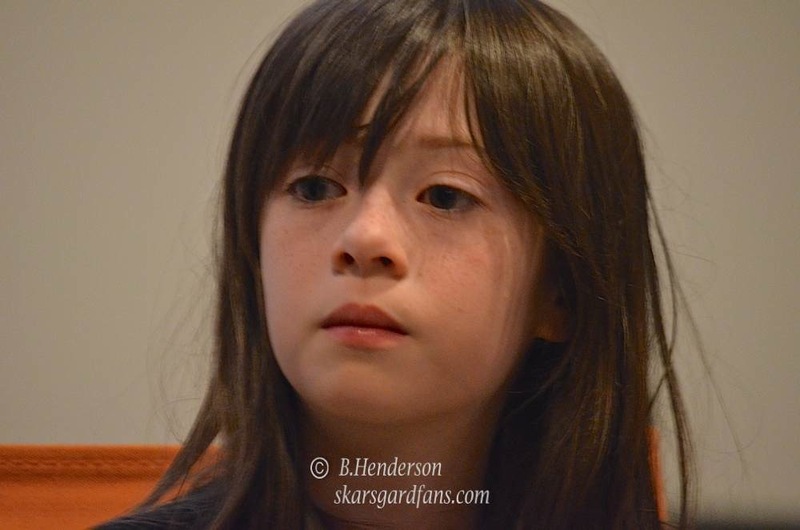 Huge thanks to skarslover for the great find! 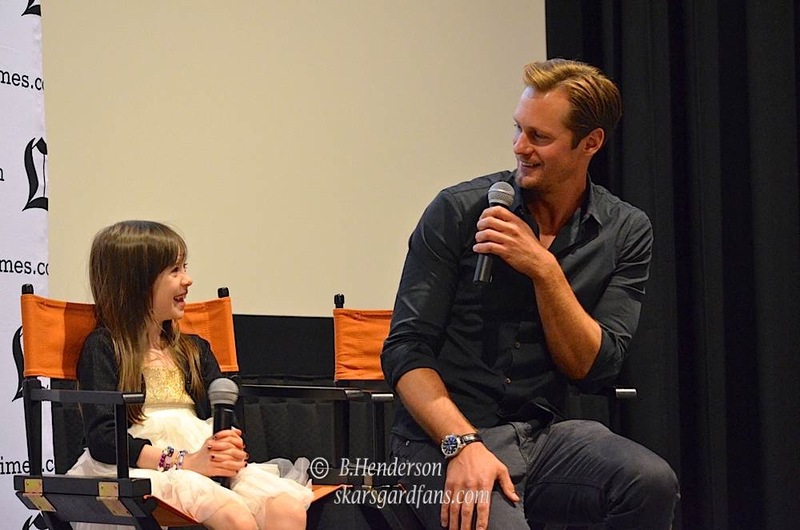 Love the big smiles on both of them! 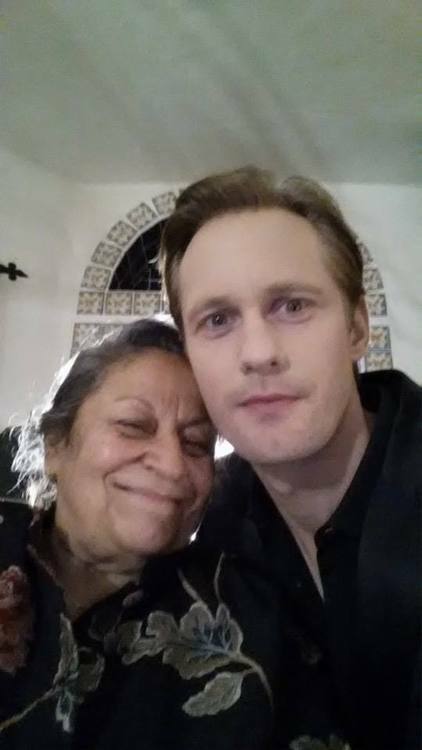 Great to see Alex back on set for True Blood. 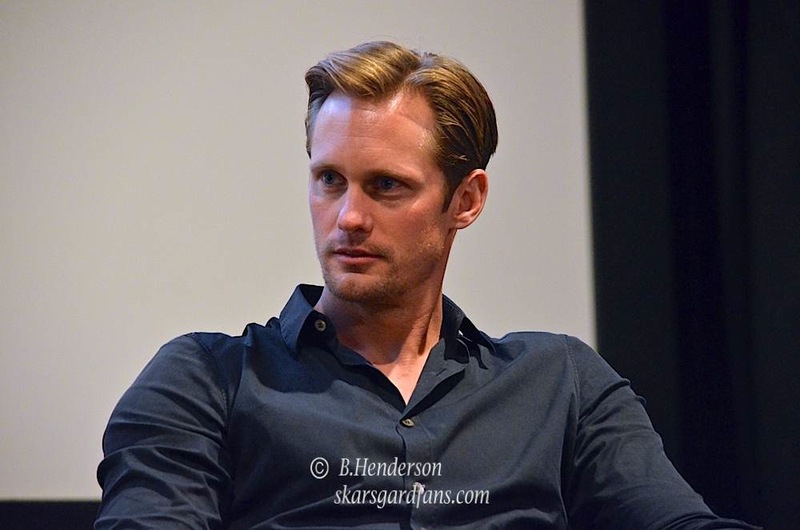 It’s the final season and I can’t wait to see his character Eric Northman on my tv this summer! 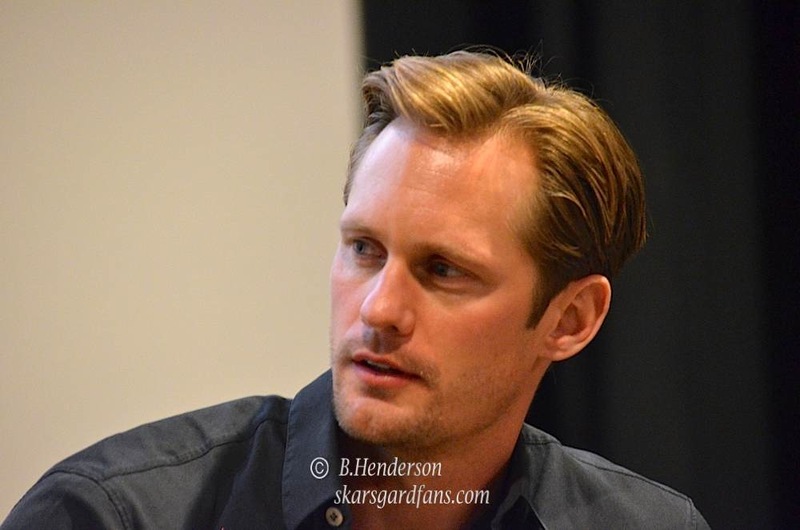 This entry was posted in Photos, True Blood and tagged Alexander Skarsgard, Alexander SKarsgard new photos, Alexander Skarsgard photos, True Blood, True Blood season 7 on February 8, 2014 by admin. 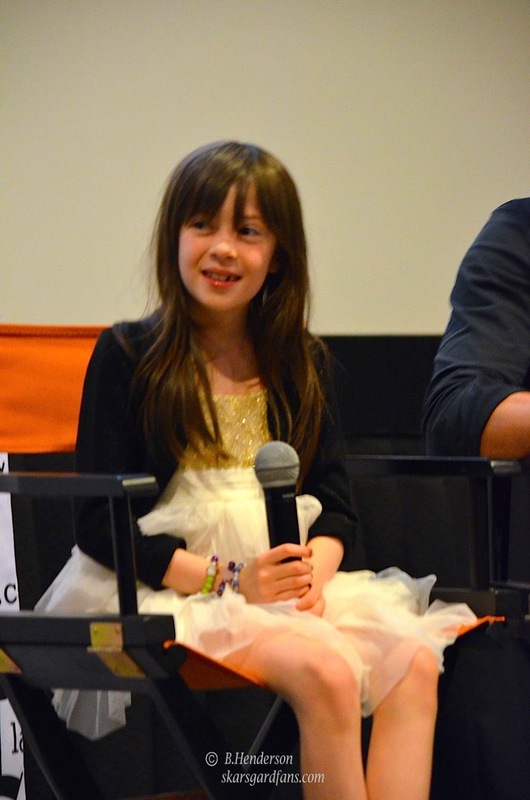 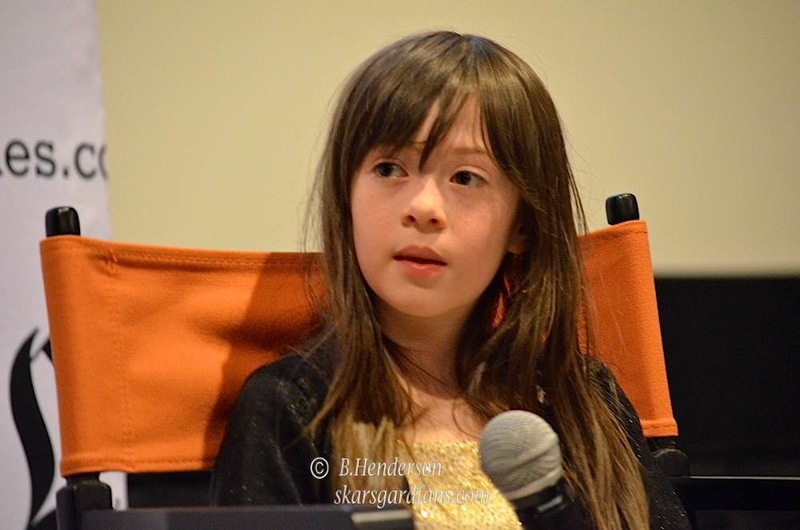 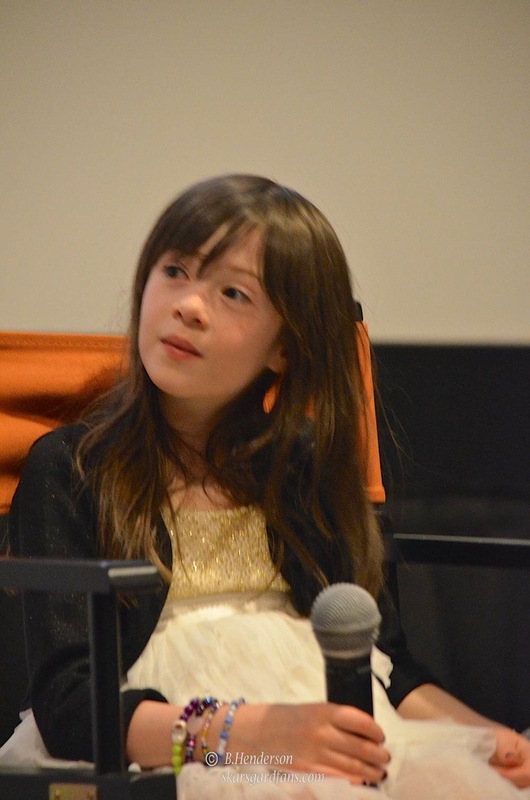 The Los Angeles Times held a screening of the film “What Maisie Knew” as part of their Indie Focus program. 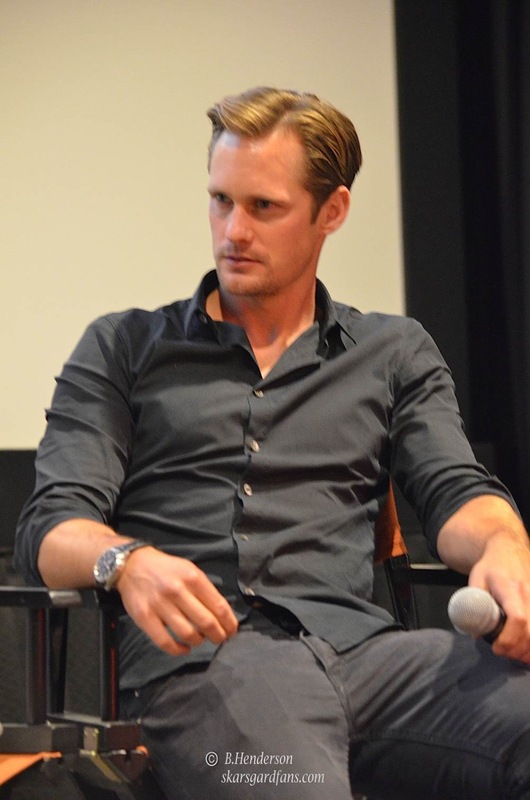 I was fortunate to attend the screening and the Q and A held after the screening. 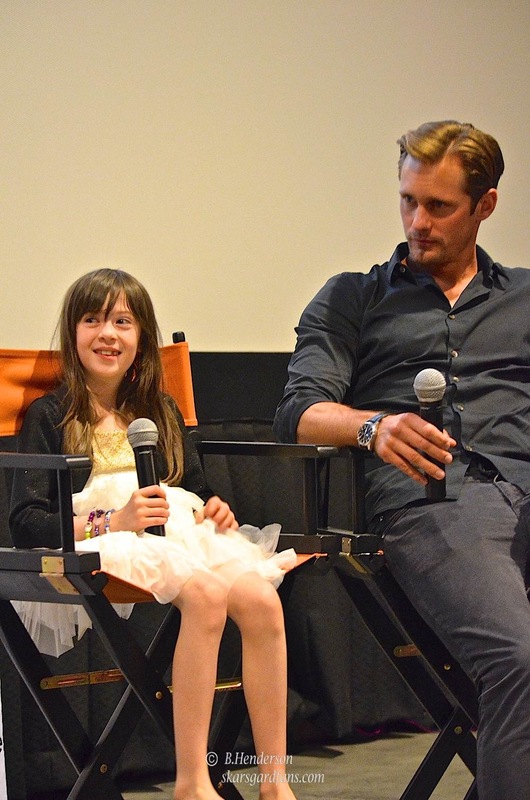 Alexander Skarsgard, Onata Aprile, and directors Scott McGehee and David Siegel attended the screening. 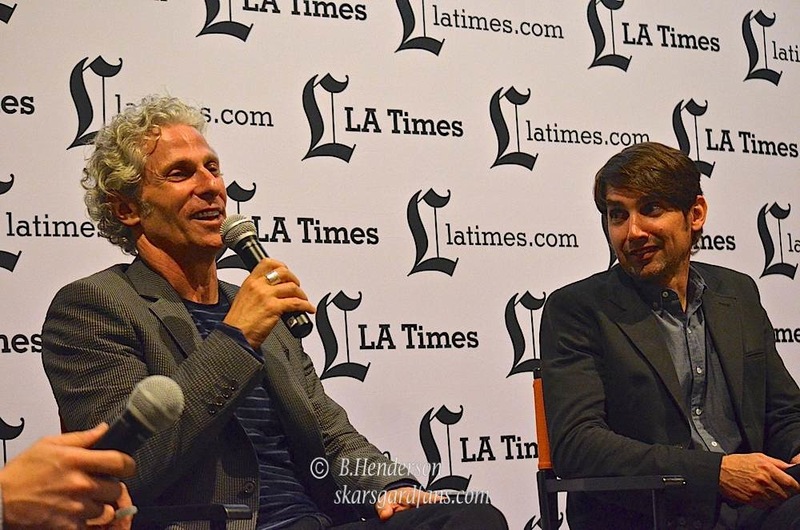 The Q and A was moderated by LA Times writere Mark Olsen. 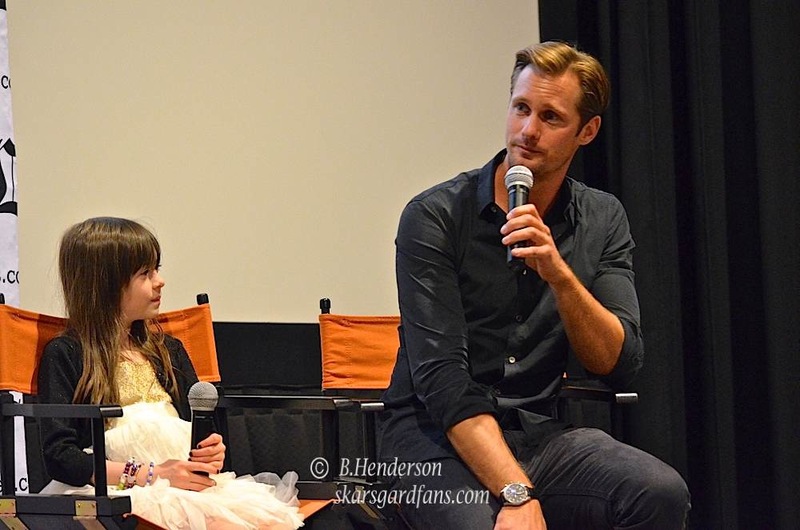 Alexander Skarsgard and Onata Aprile attended the Q and A and they were absolutely adorable together in the film and during the Q and A. Alex carried Onata into the theater and helped her get into the chair. 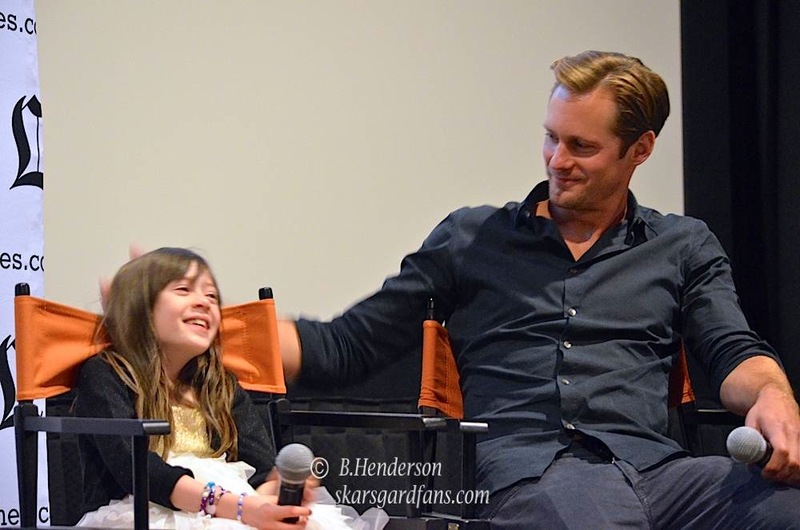 Alex was telling how Onata loved it when he would lift her up by her arms in the film in the image above. 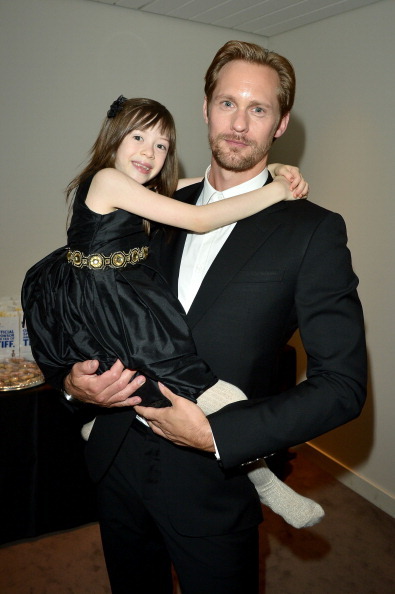 Due to their height differences Alex would have to pick Onata up in order for them to be in the same frame. 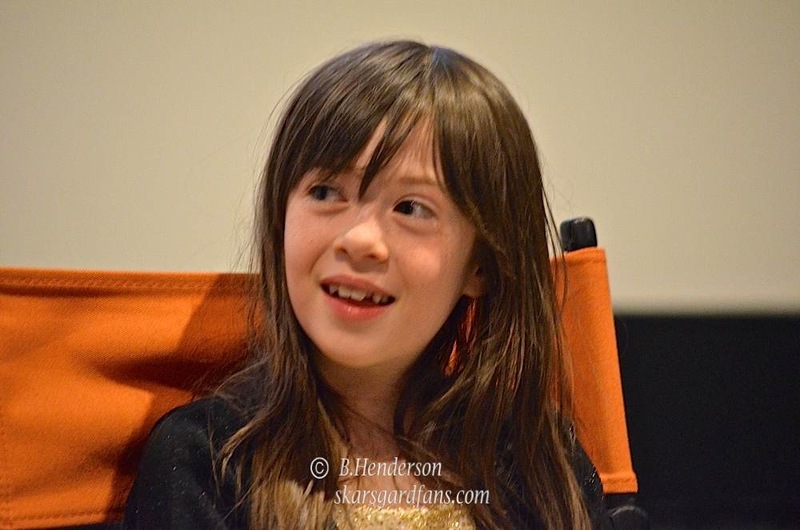 It was also fun to hear how Onata loved the scene where they played Monopoly in the movie and beat all the adults. 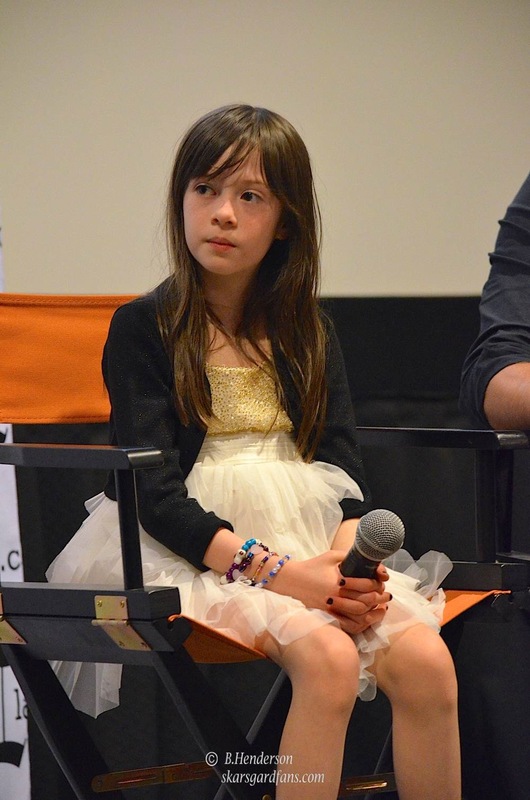 The directors mentioned how it took auditioning over 150 young girls before they found the perfect Maisie- Onata. 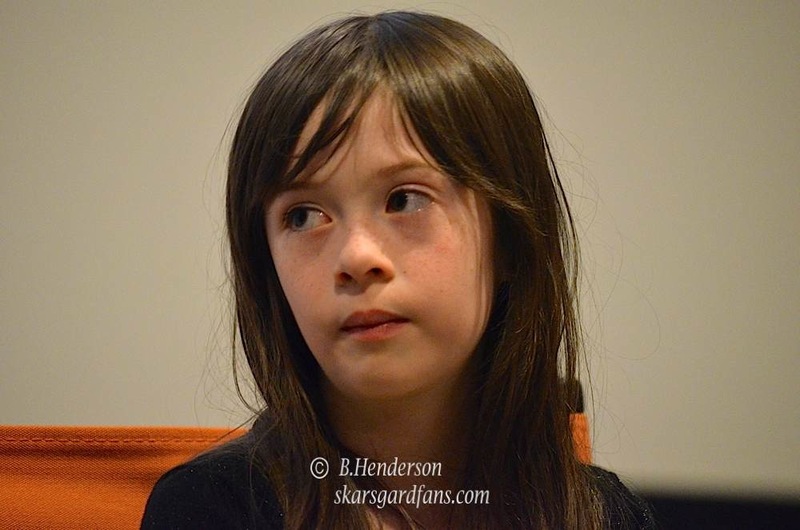 Onata was amazing in her role. 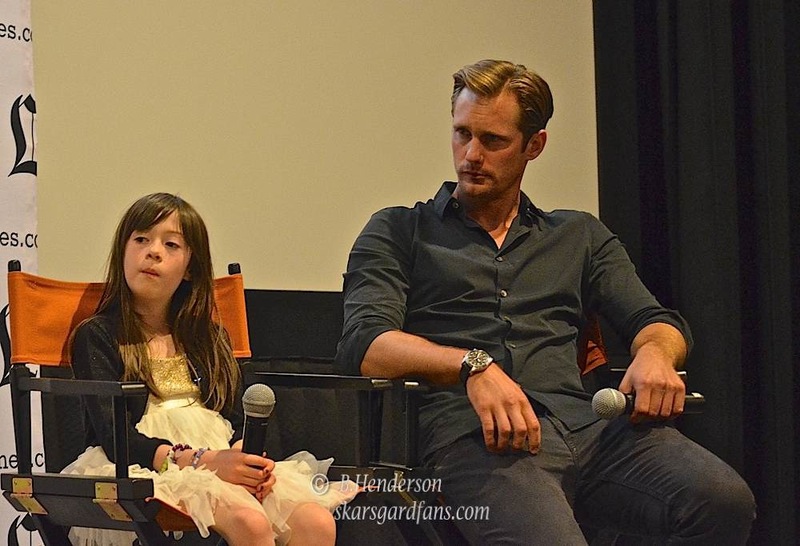 Watching Alex and Onata on screen was also a joy to watch. 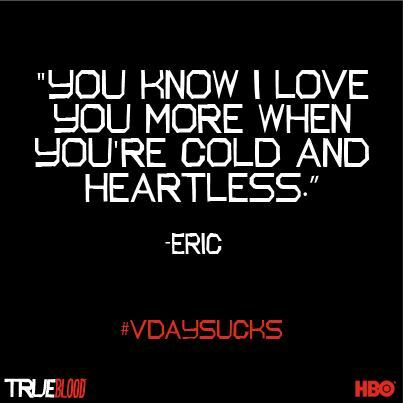 Yet the movie is very very sad at times. 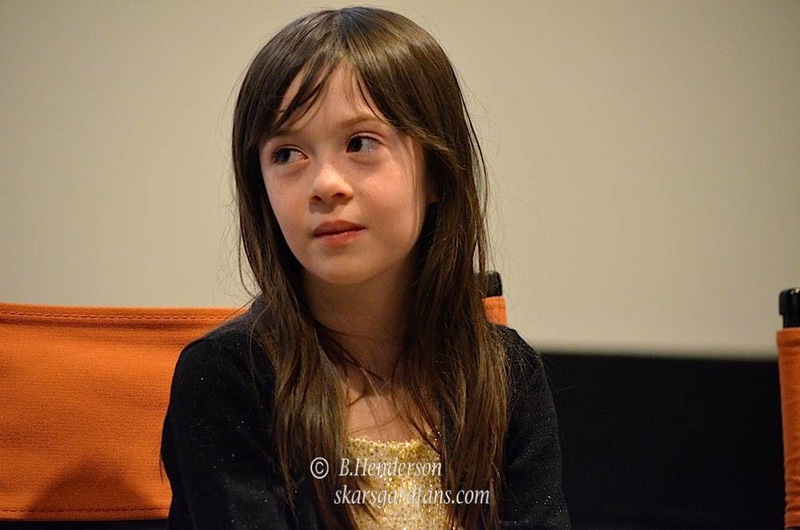 As a mom I just wanted to yell at the parents who were just really not putting the child’s best interests at heart. 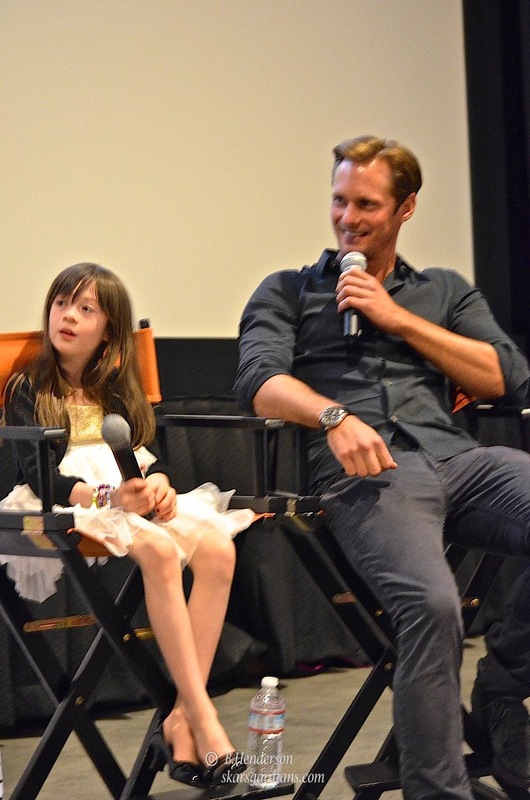 The theater was filled to capacity. 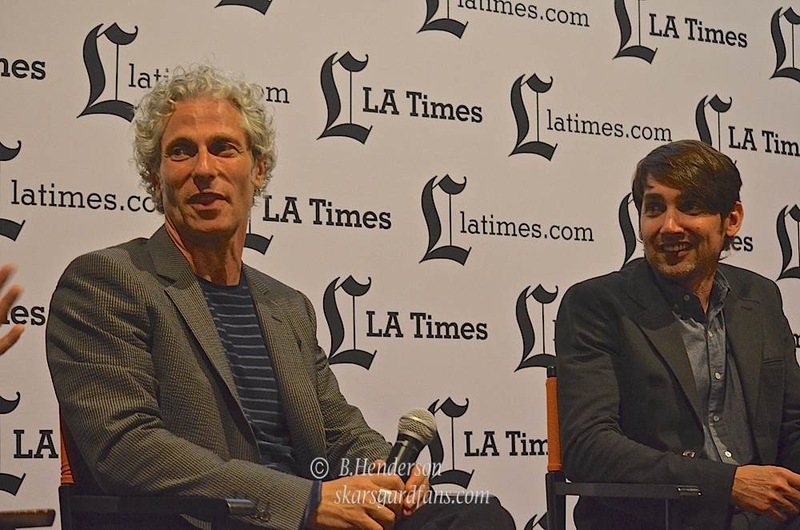 The film is out now in Los Angeles. 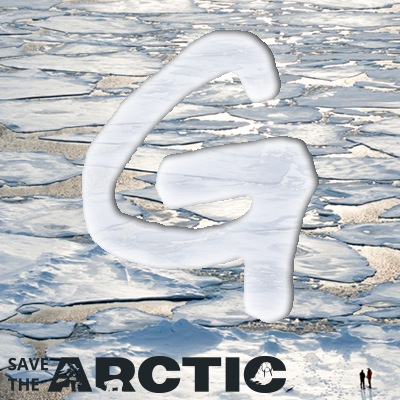 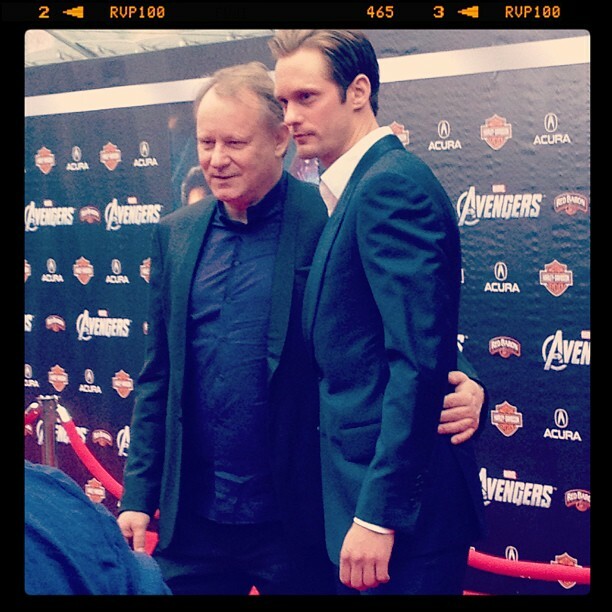 I will post the theaters as soon as I can. 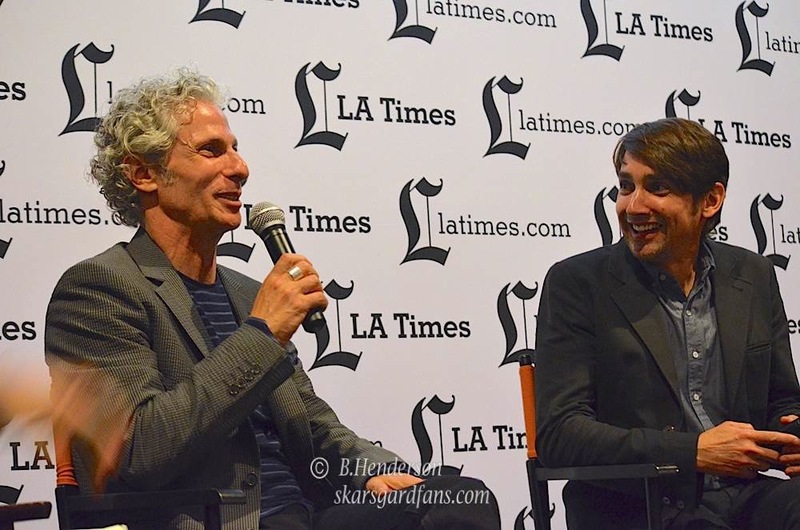 Here is a link for the theaters in the Los Angeles area that are showing the film: Fandango.com The images in the gallery below were taken by me during the Q and A. I still have a lot more to edit. 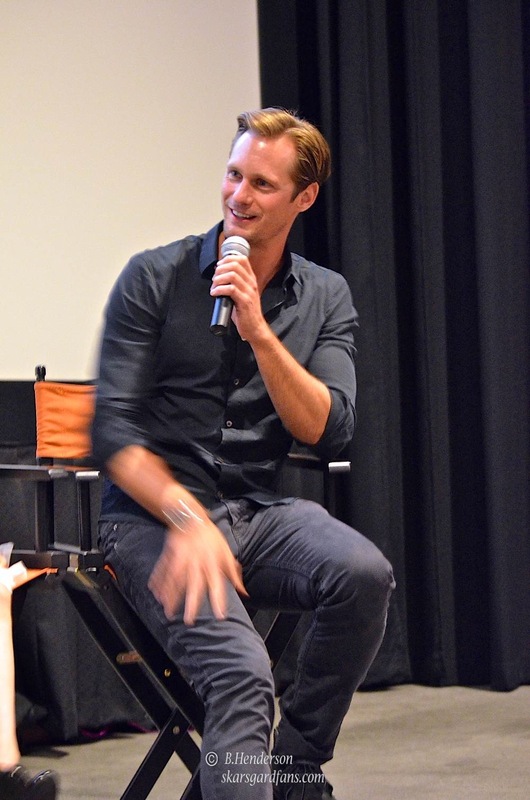 Alex was also very nice and so happy that fans came out to the screening and thanked us after the screening. 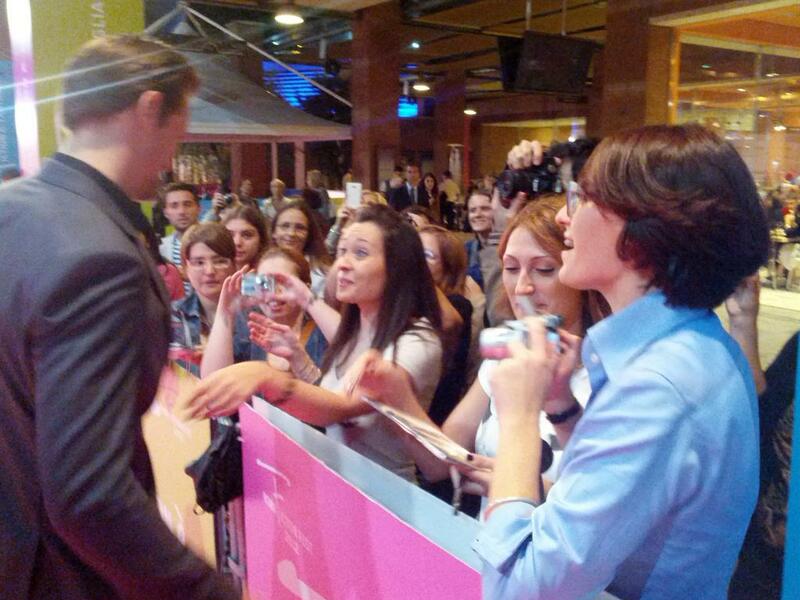 He gladly took photos with fans. 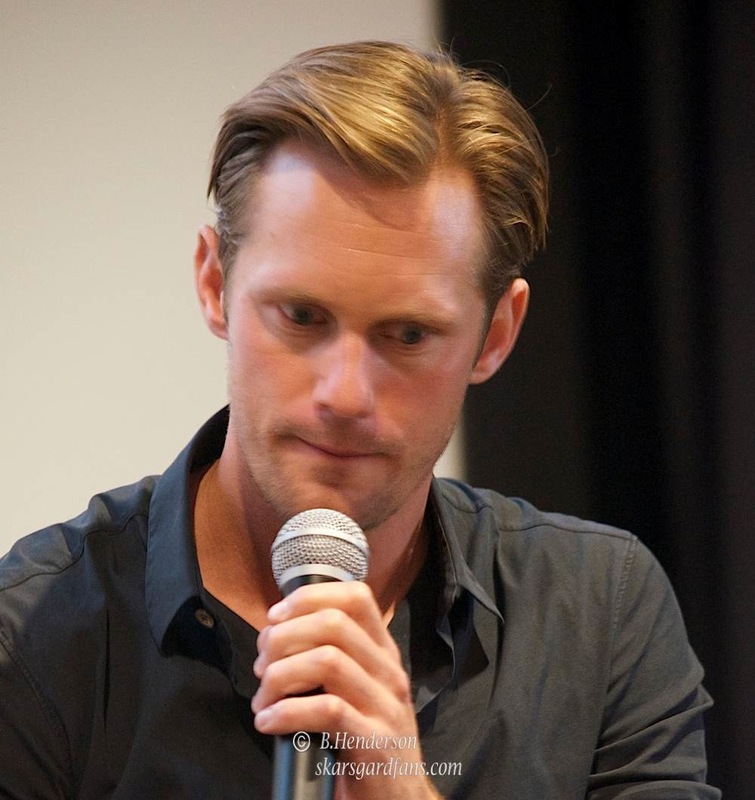 A security guard was trying to shoo away fans and say ok that’s enough but Alex just said “no let the fans get their photos”. 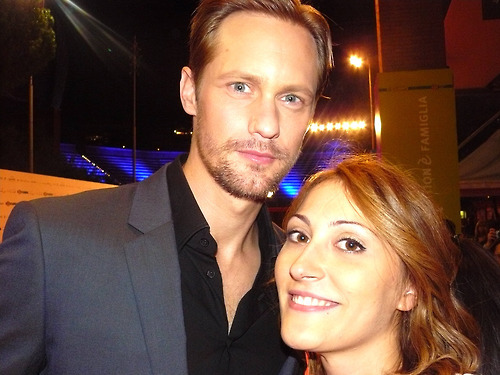 I was one of the last lucky ones to get my photo with Alex. 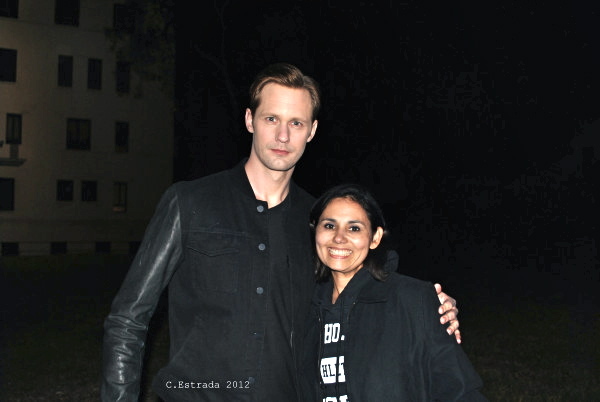 Since I’m short he scrunched down to help out (i was on my tippy toes but still way shorter to Alex’s 6′ 4″). 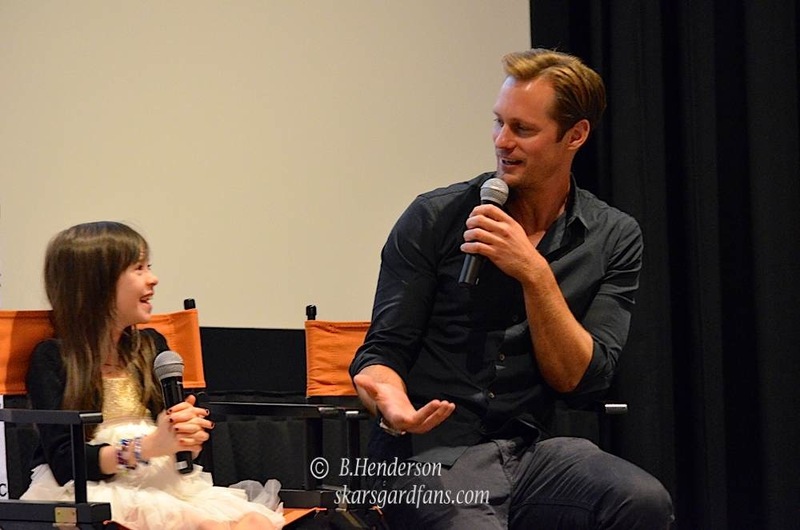 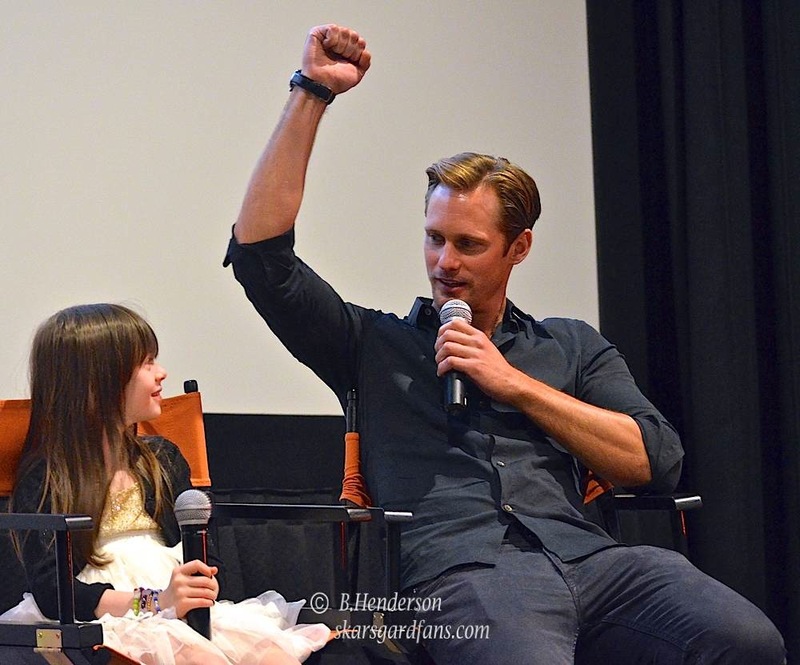 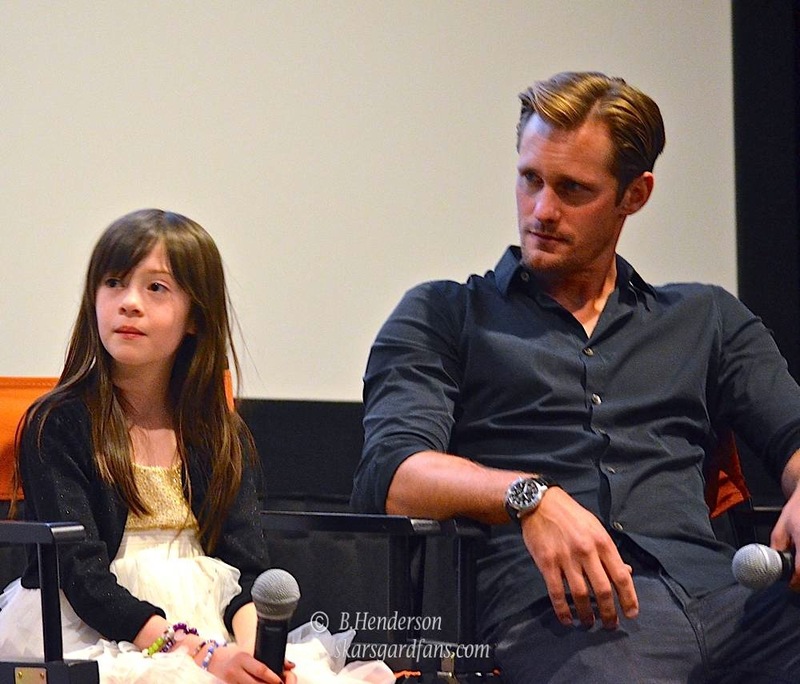 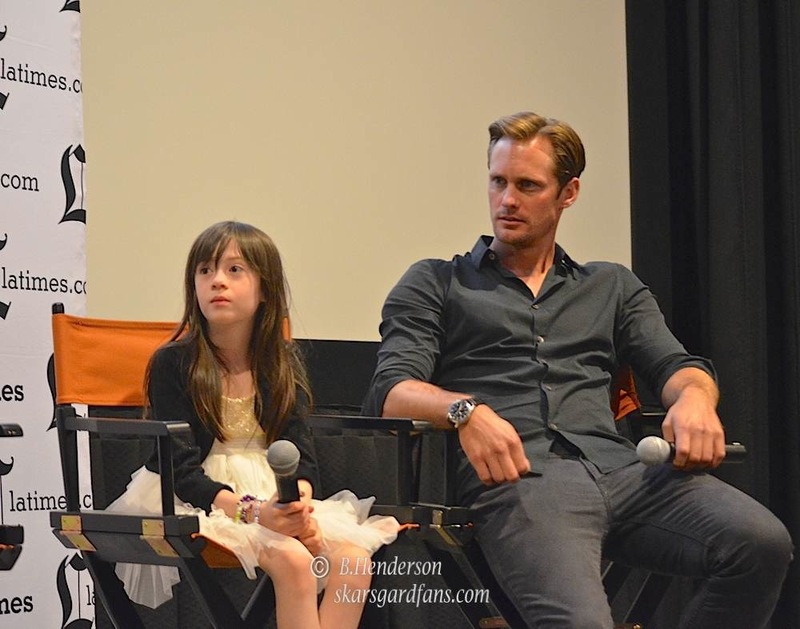 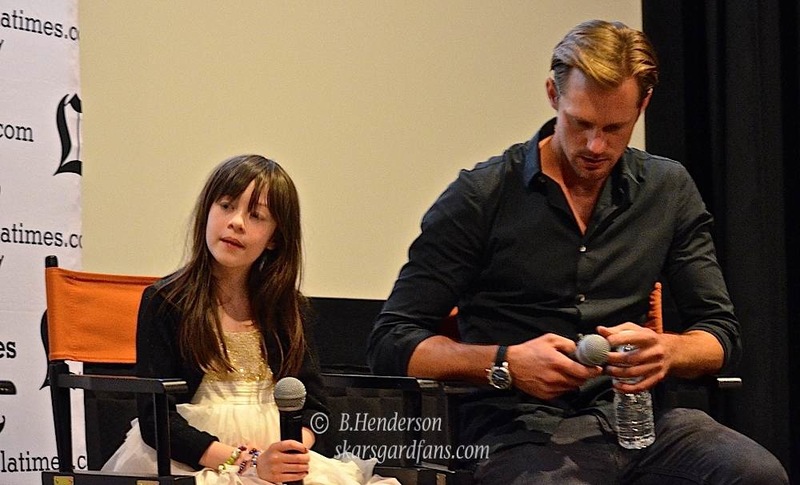 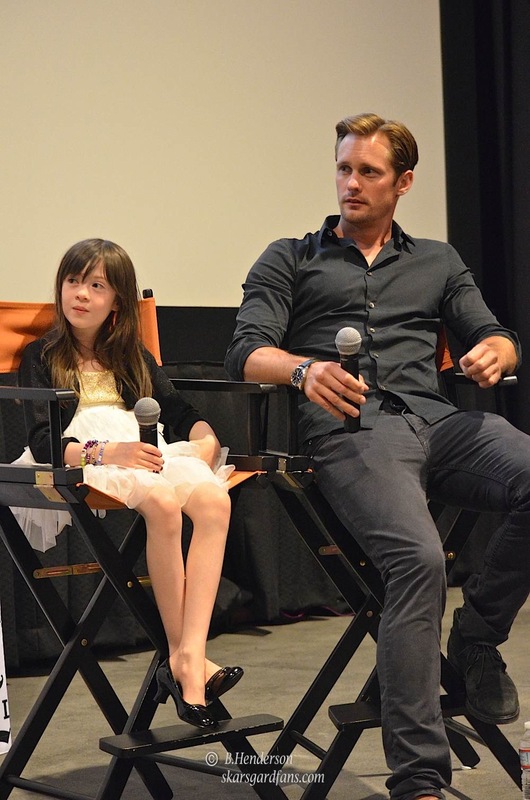 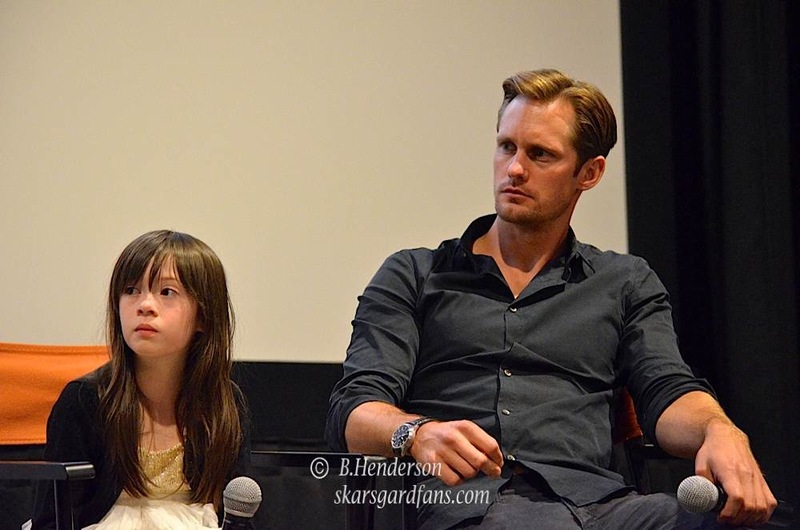 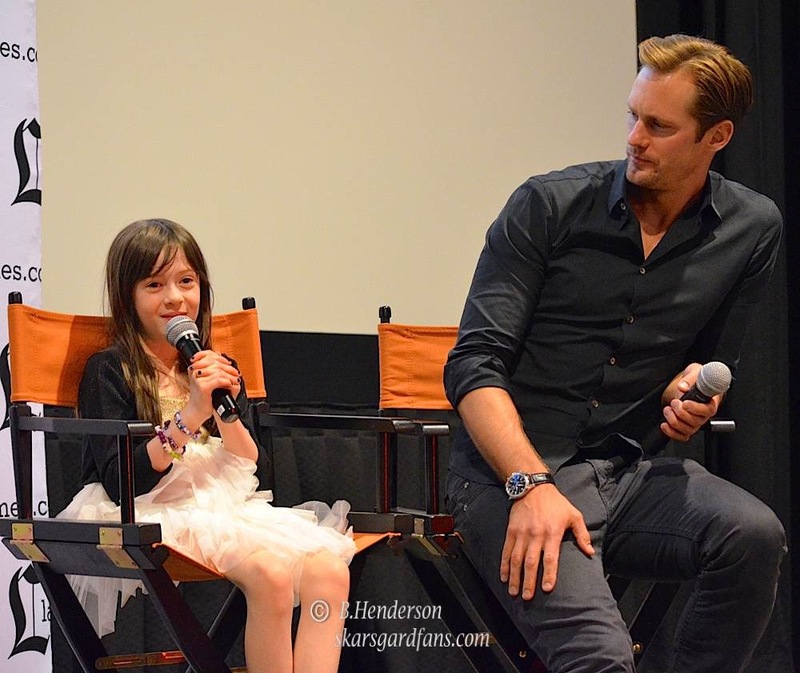 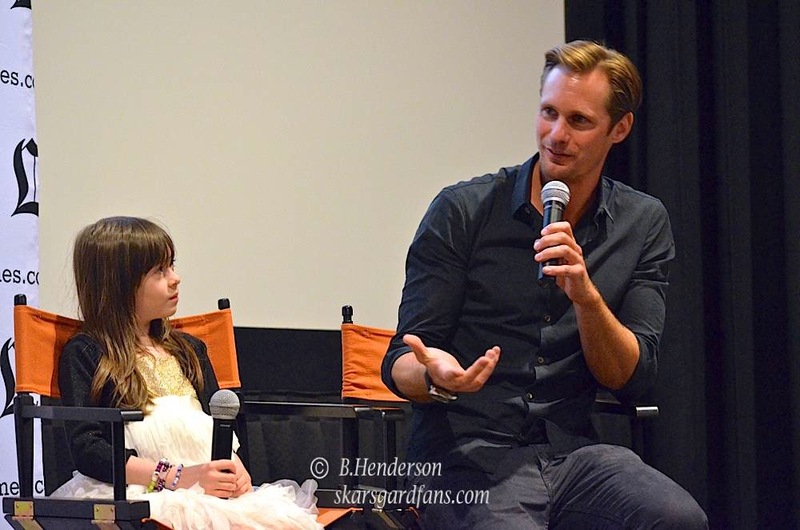 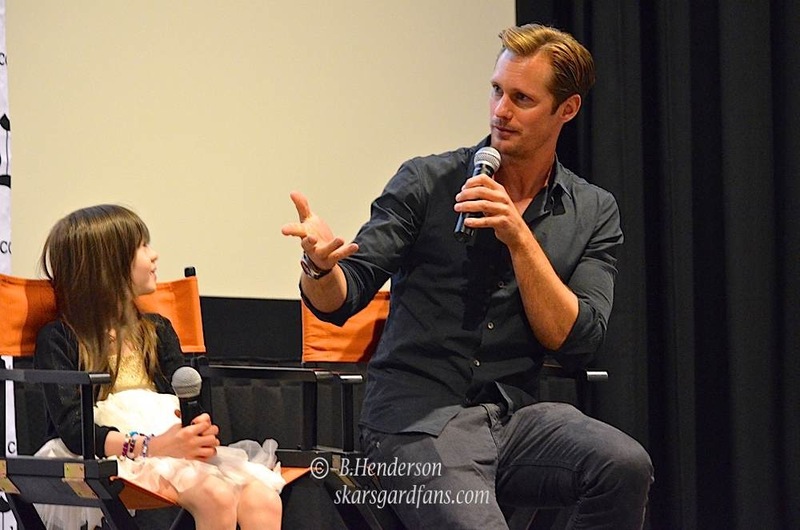 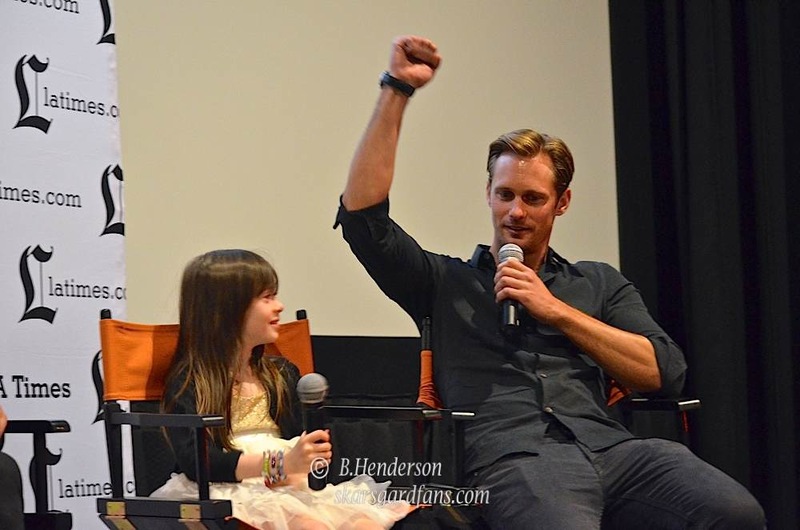 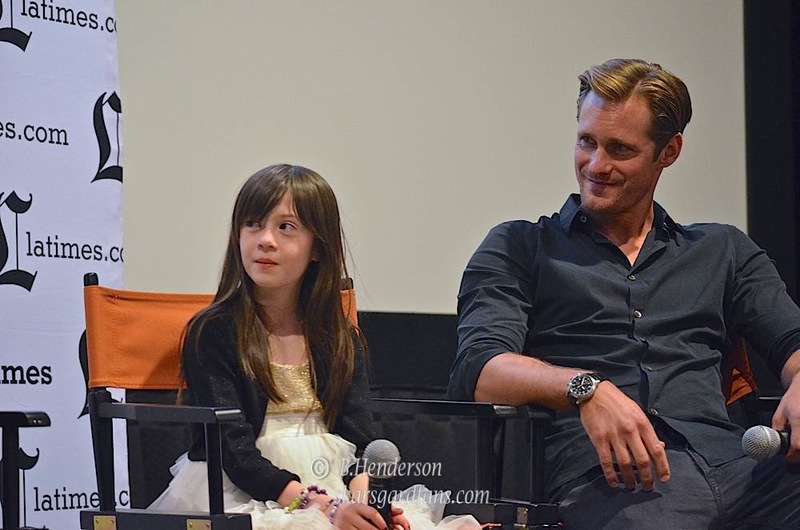 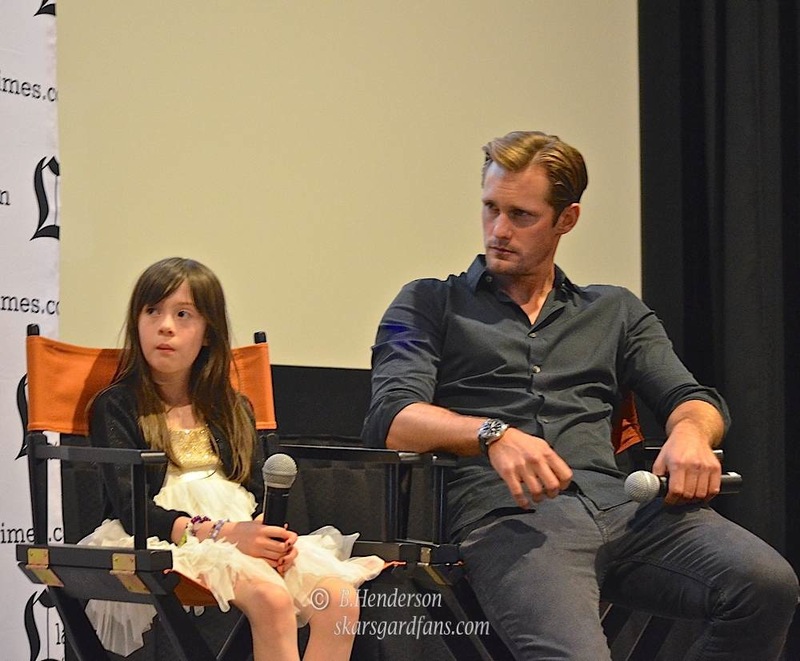 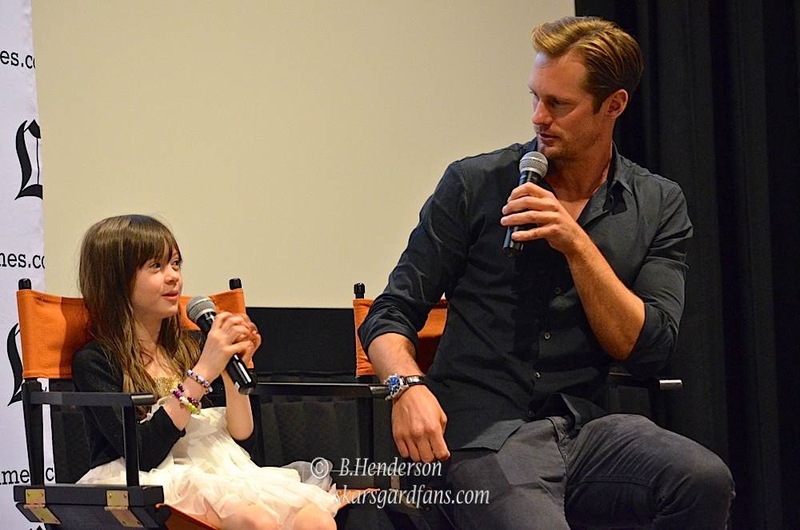 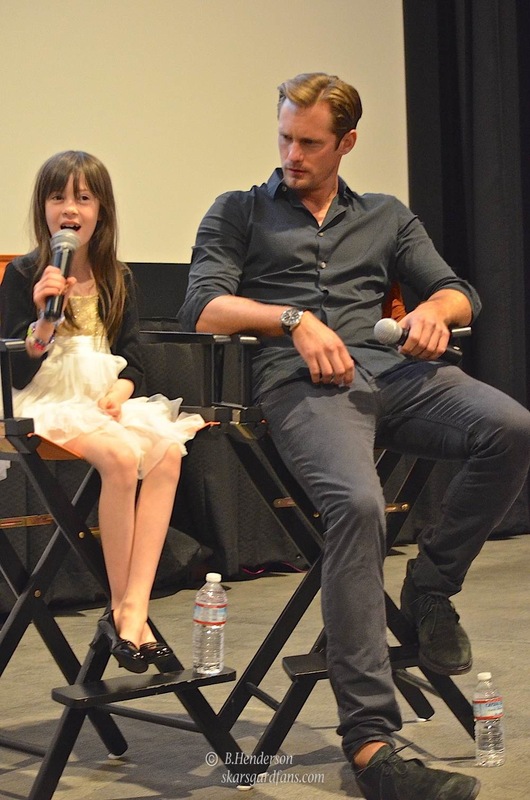 This entry was posted in Photos and tagged Alexander Skarsgard, Alexander SKarsgard new photos, Alexander Skarsgard photos, Los Angeles Times, Onata Aprile, What Maisie Knew on May 17, 2013 by admin. 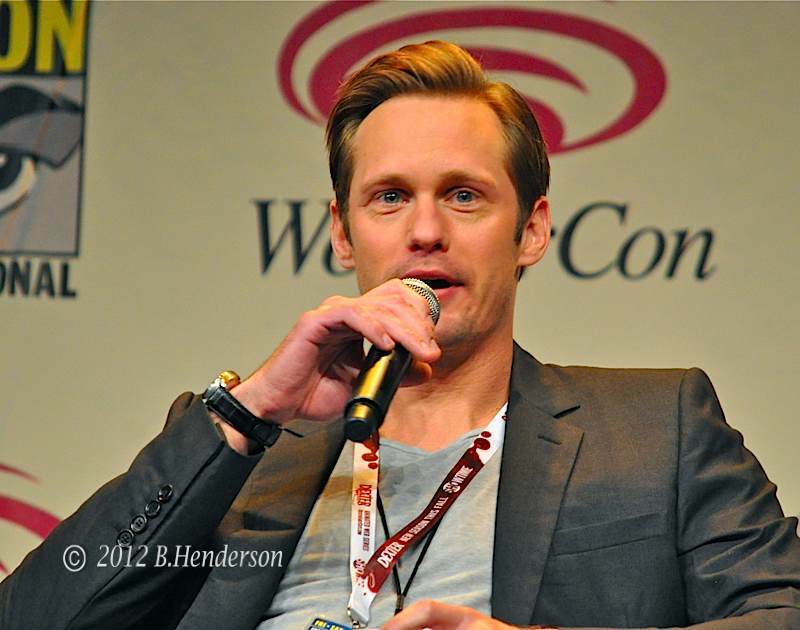 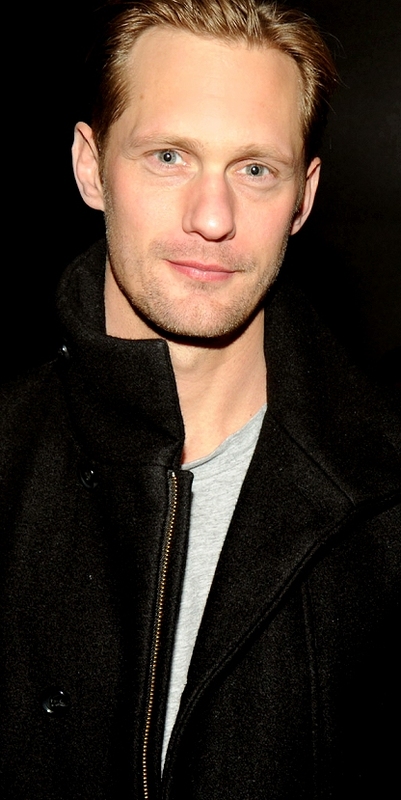 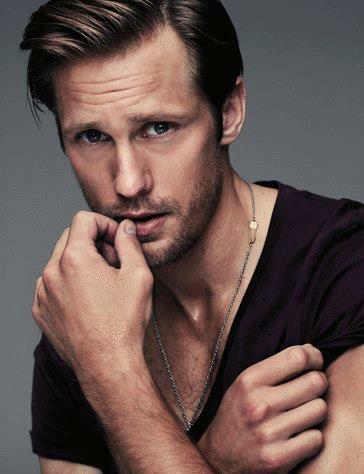 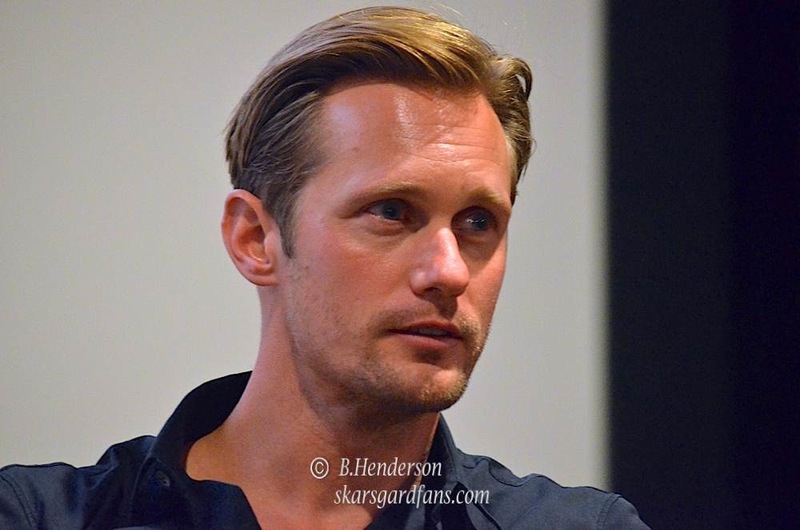 Here’s a new photo of Alexander Skarsgard to help start off your Valentine’s Day. 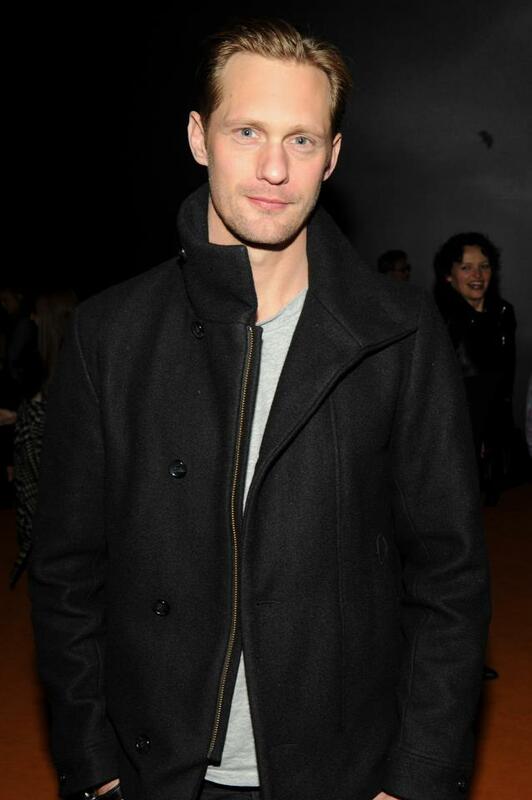 Alex attended the New Museum opening of “NYC 1993: Experimental Jet Set, Trash and No Star” last night in New York City. 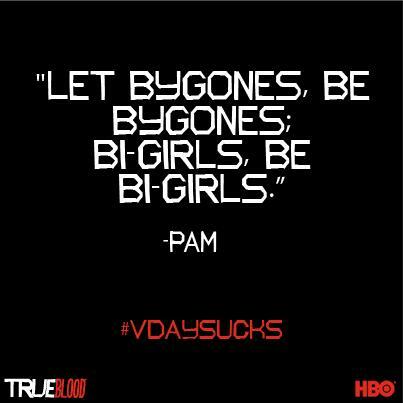 2/13/13. 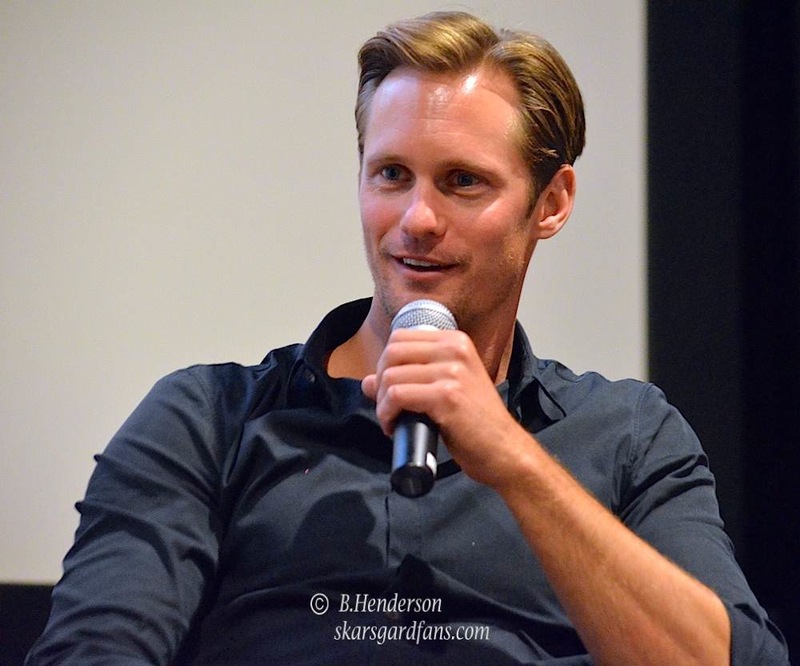 This entry was posted in Photos, True Blood and tagged Alexander Skarsgard, Alexander SKarsgard new photos, Eric Northman, Jason Stackhouse, Pam Swynford de Beaufort, True Blood on February 14, 2013 by admin. 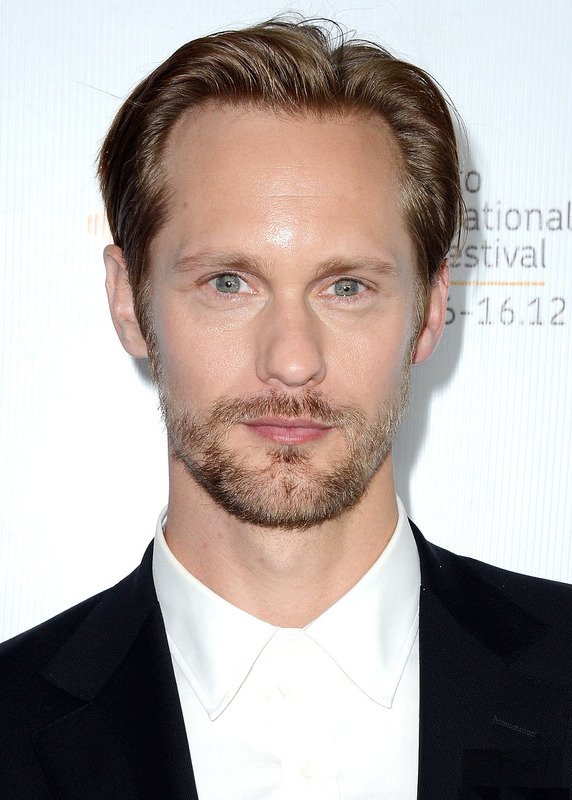 As you know, Alexander Skarsgård will be starring in the movie, “The East”. 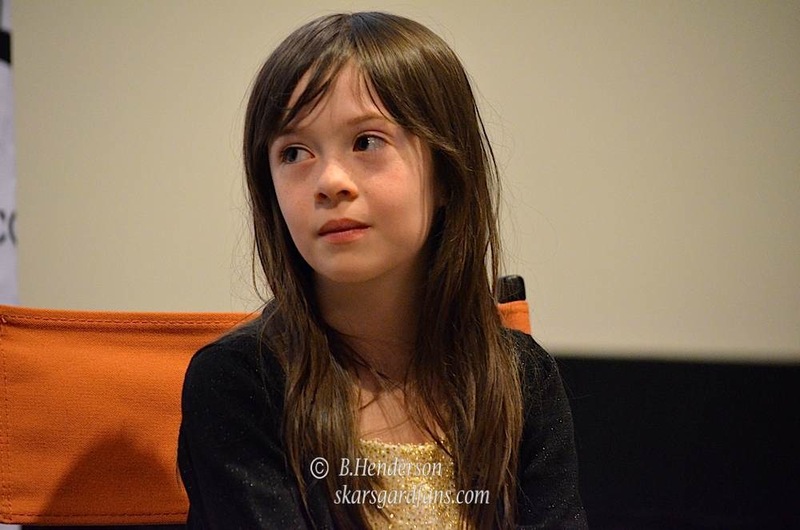 The first image recently came out from the movie and here it is below. 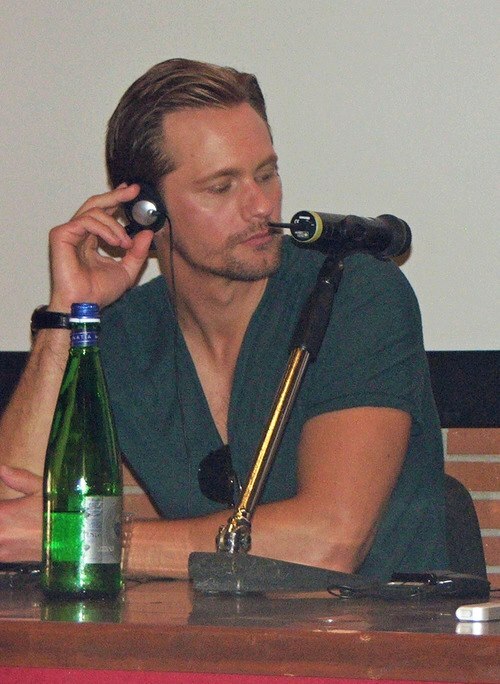 As you can see…Alex is looking rather scruffy. 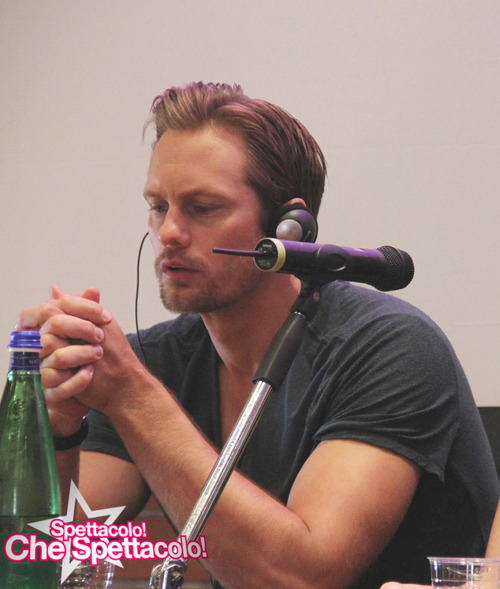 The cast looks like they are gathered around and are trying to figure something out. 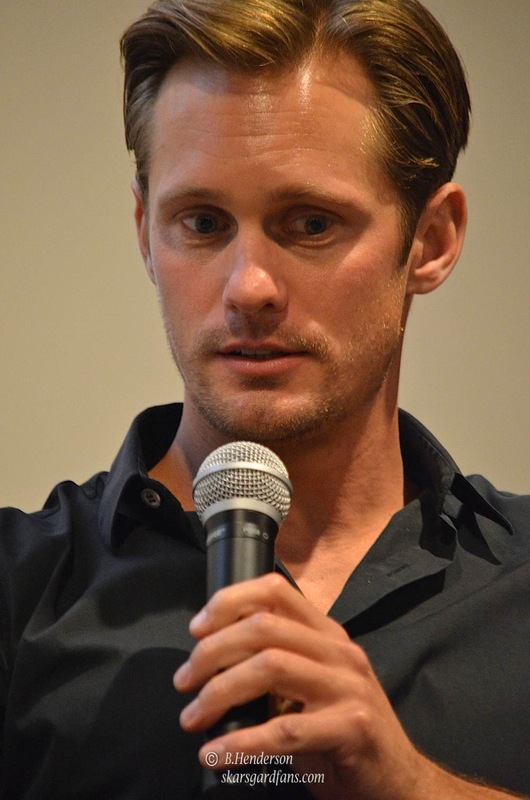 Here is the synopsis from the movie, which will also be appearing at the 2013 Sundance Film Festival at various cities in Utah during the festival, which runs from Jan. 17 – 27! 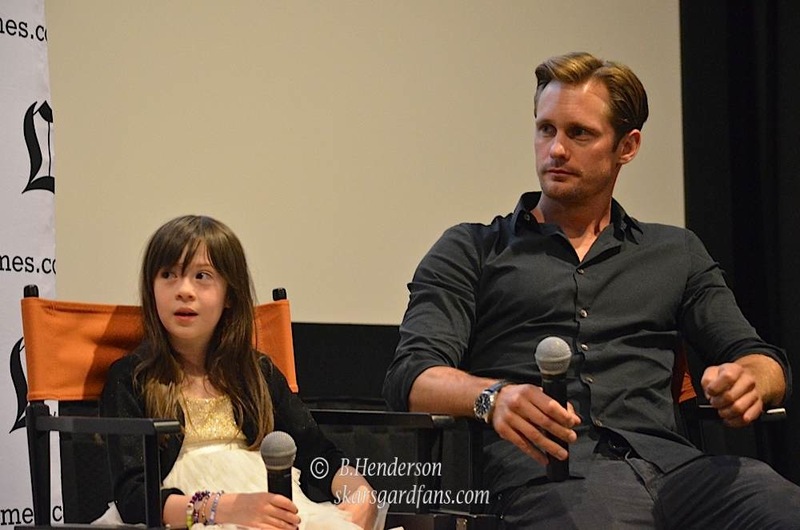 Looks like it’s going to be a very intriguing movie! 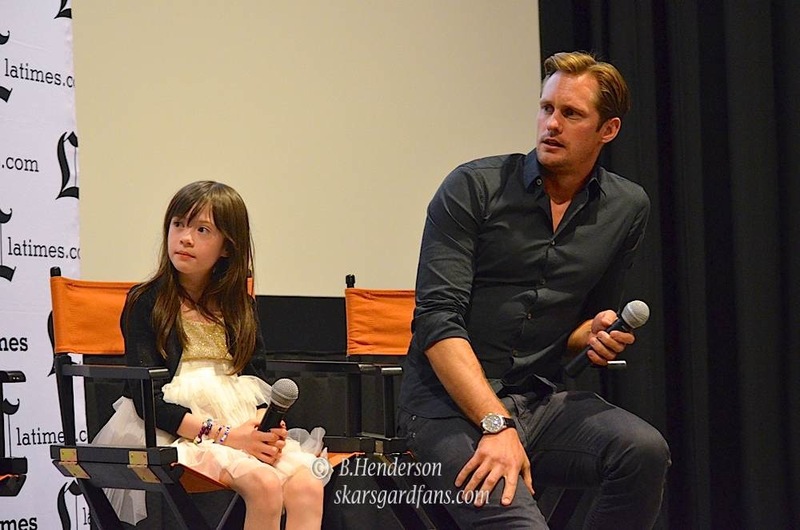 This entry was posted in News and tagged Alexander Skarsagard news, Alexander Skarsgard, Alexander SKarsgard new photos, Alexander Skarsgard photos, first image, synopsis, The East on December 3, 2012 by Erika. 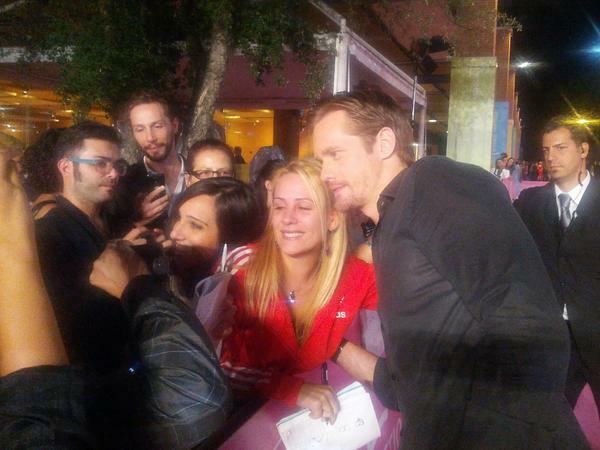 More photo ops with fans. 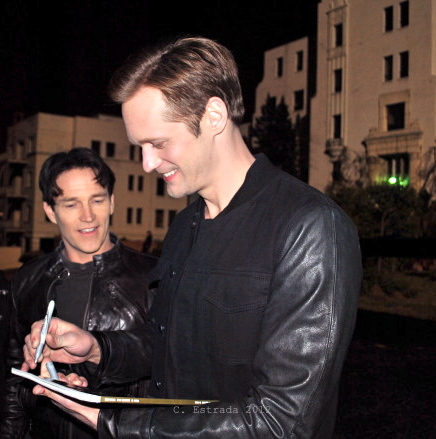 He really loves meeting his fans! 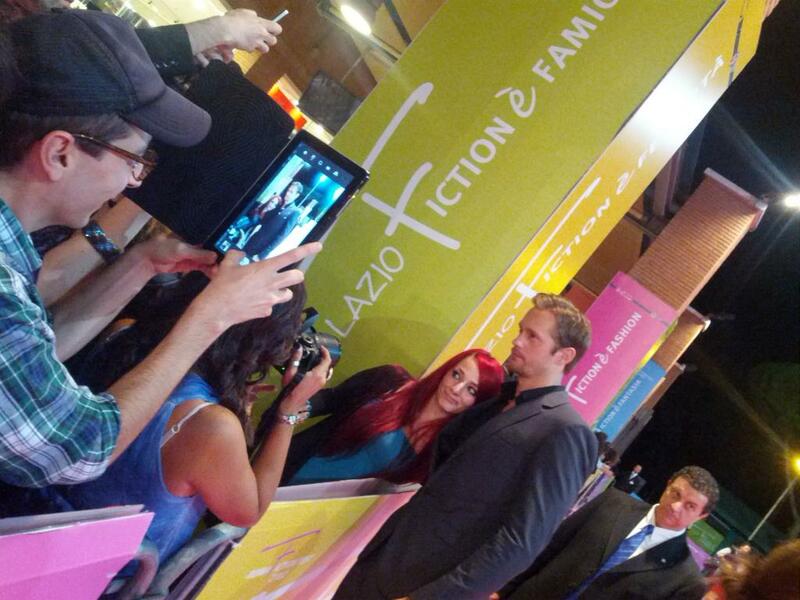 Love the fan taking a great photo with his iPad. 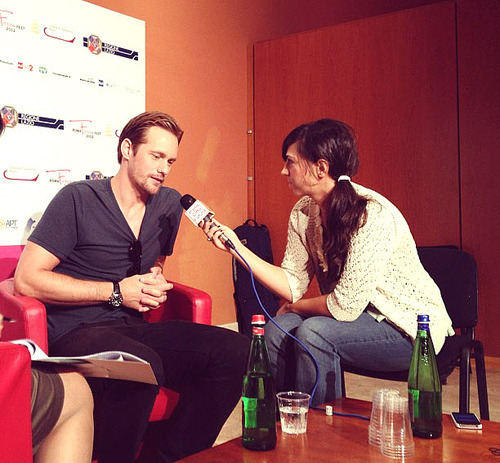 Today was the last day for Rome Fiction Fest. 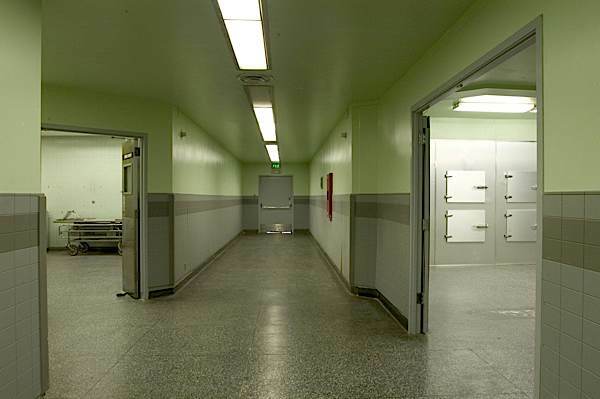 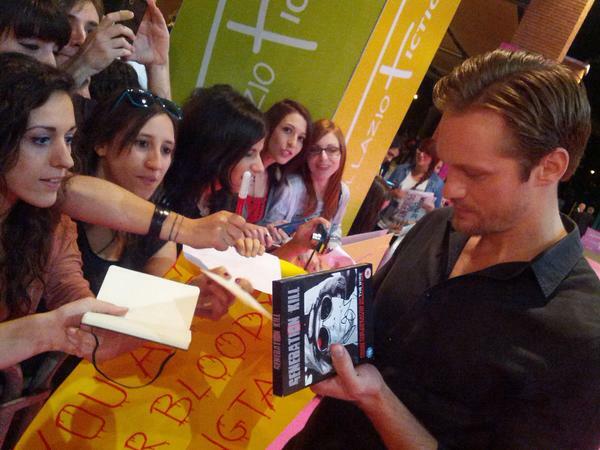 Great to see all the True Blood fans there. 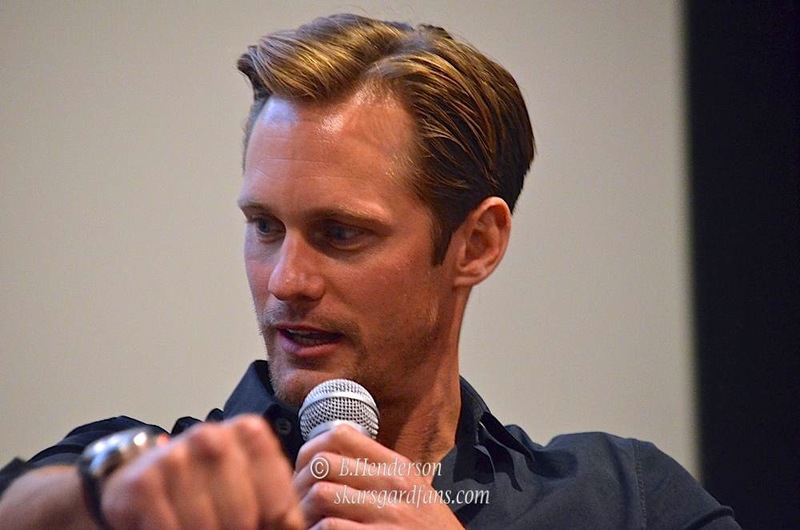 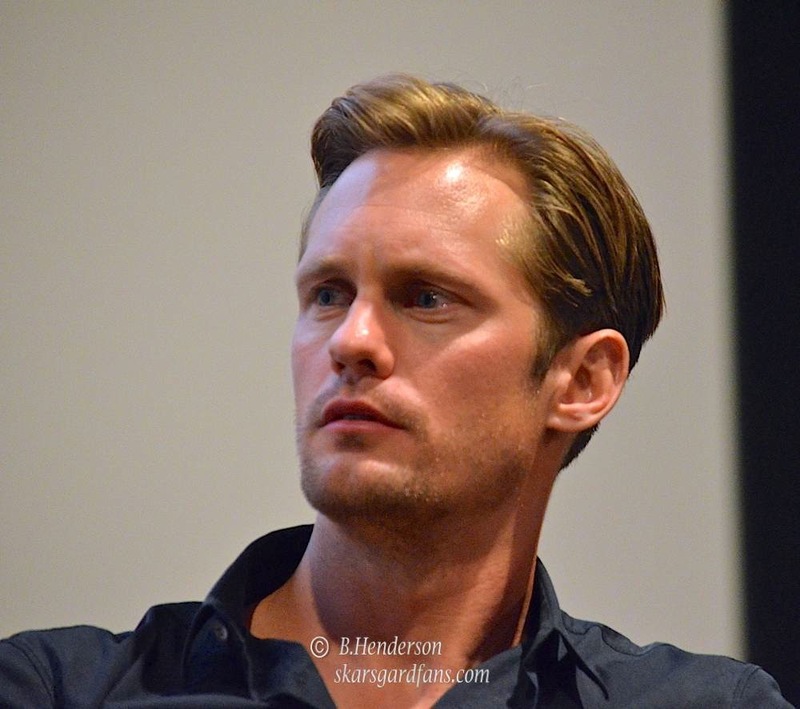 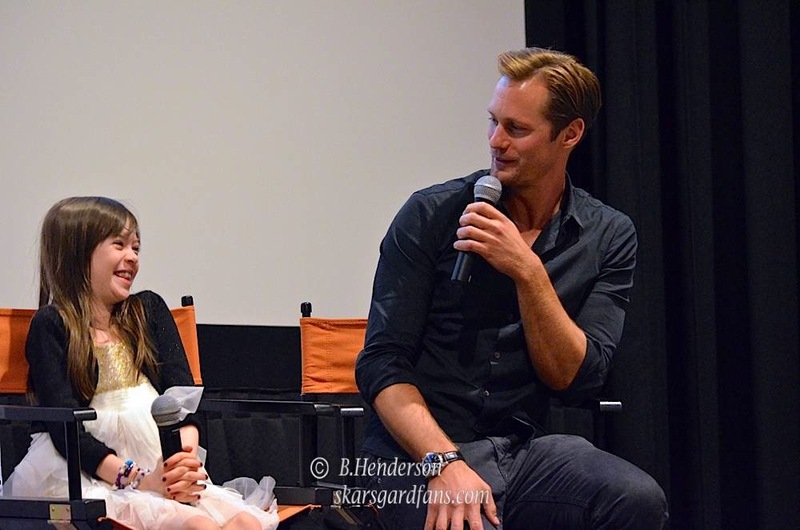 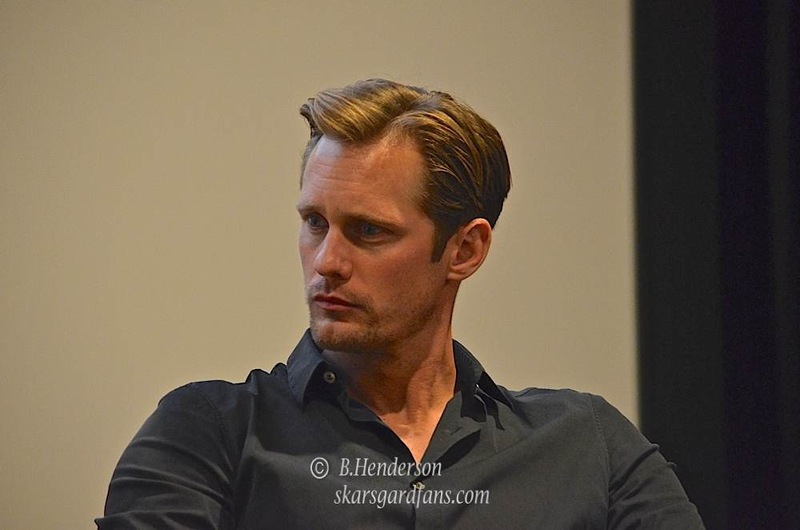 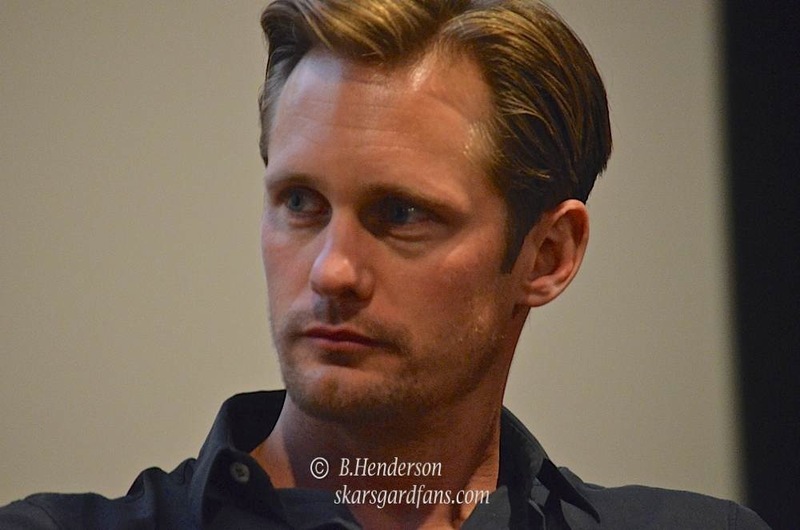 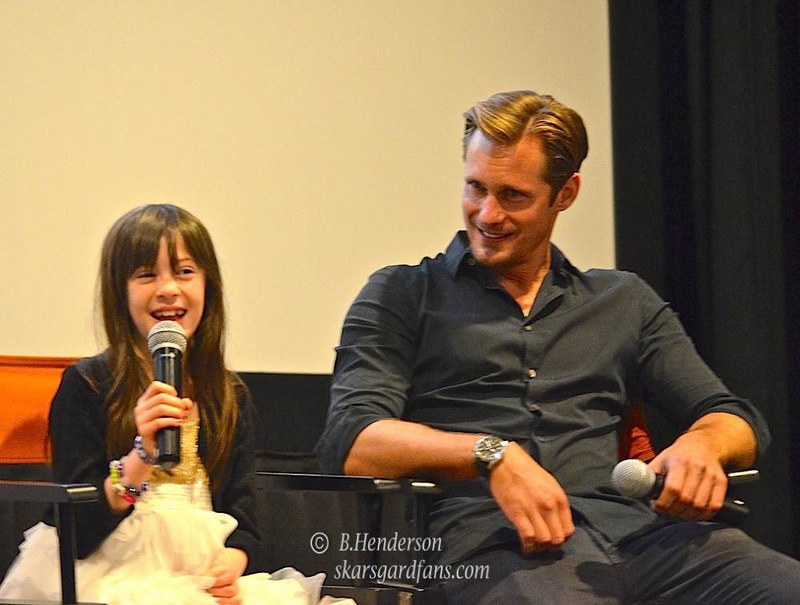 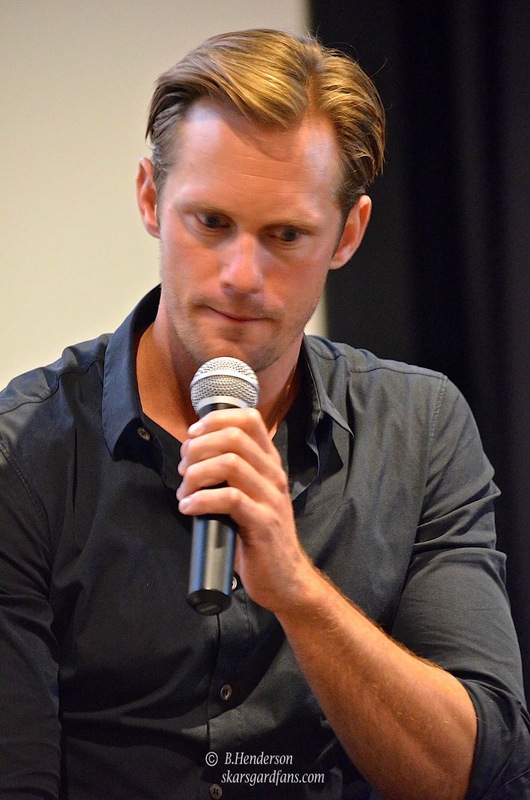 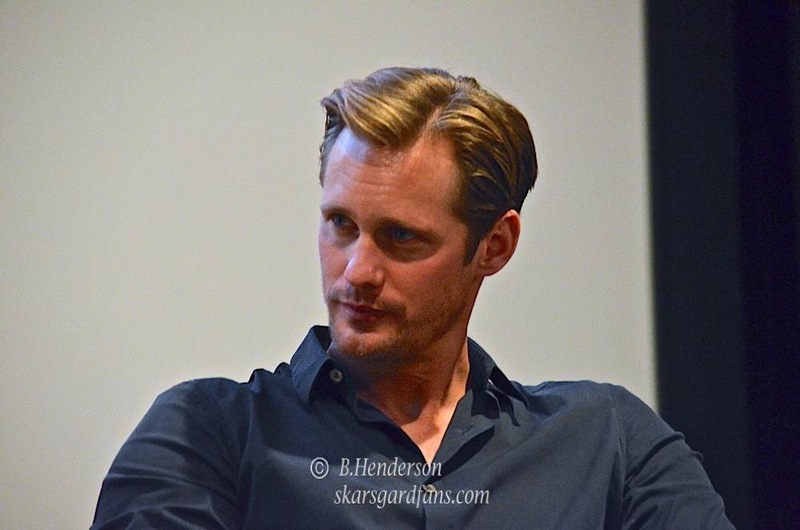 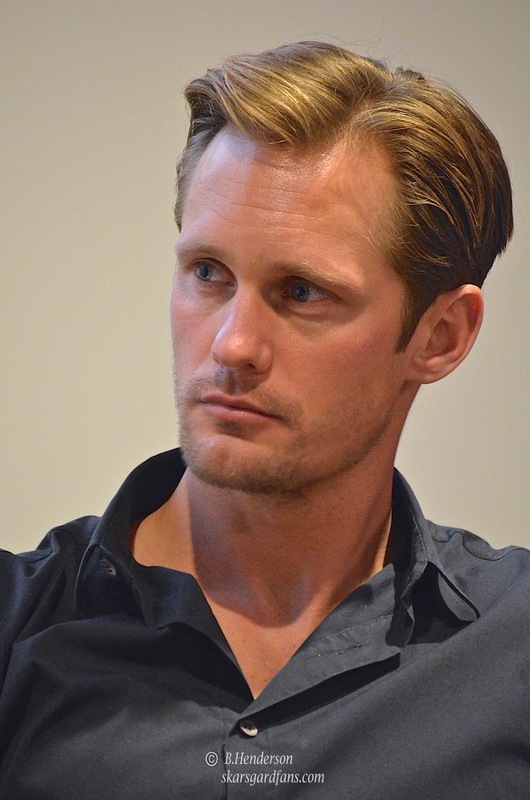 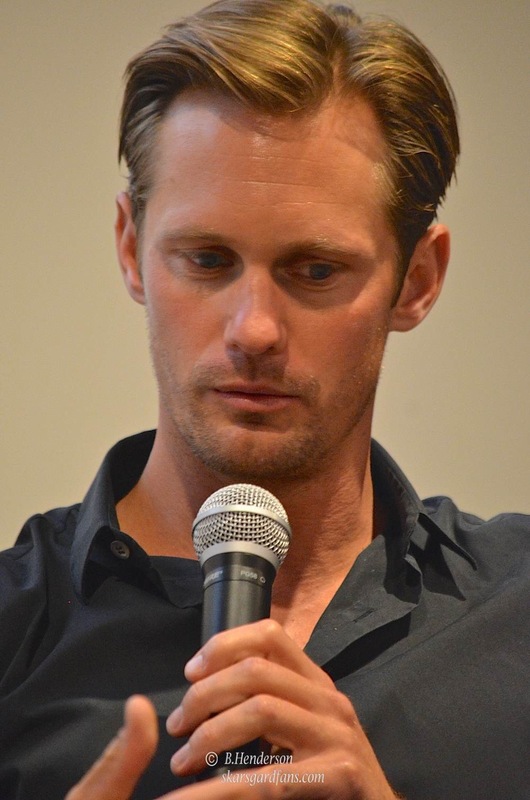 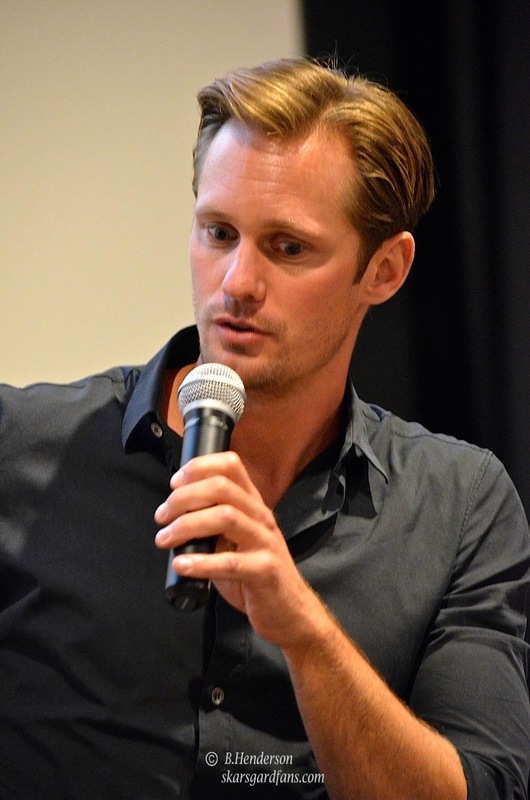 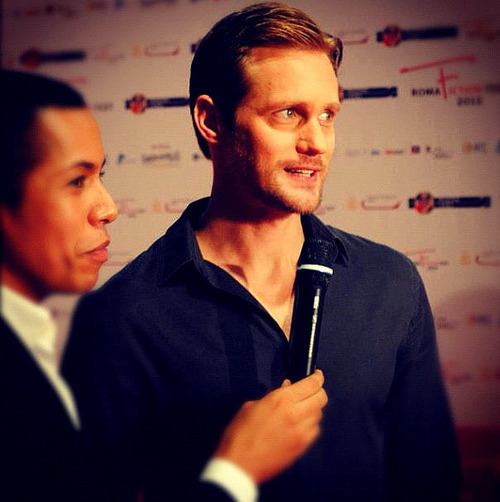 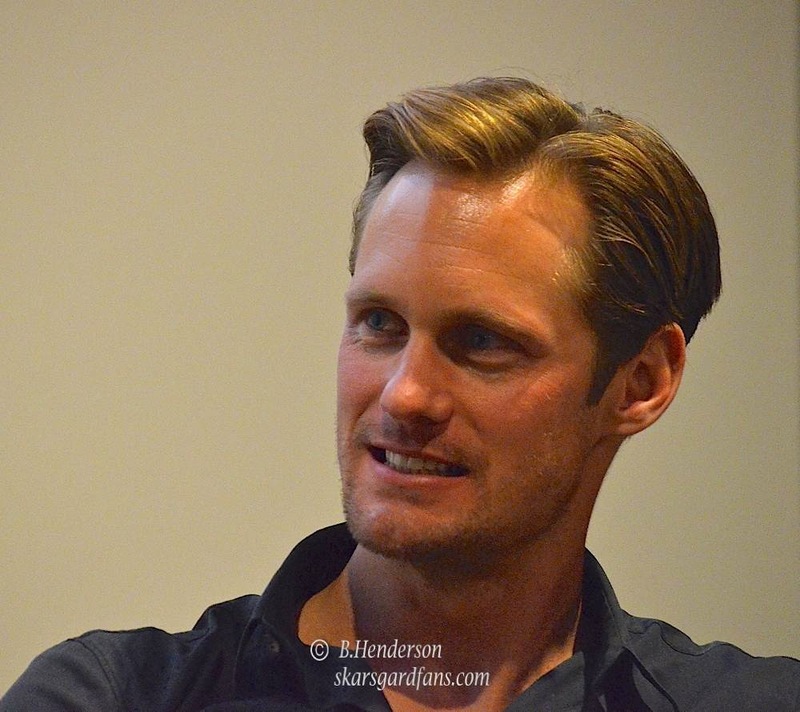 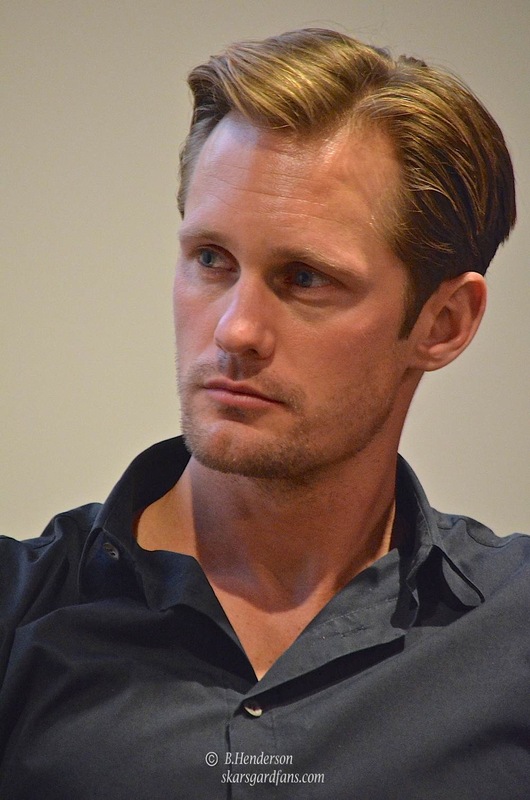 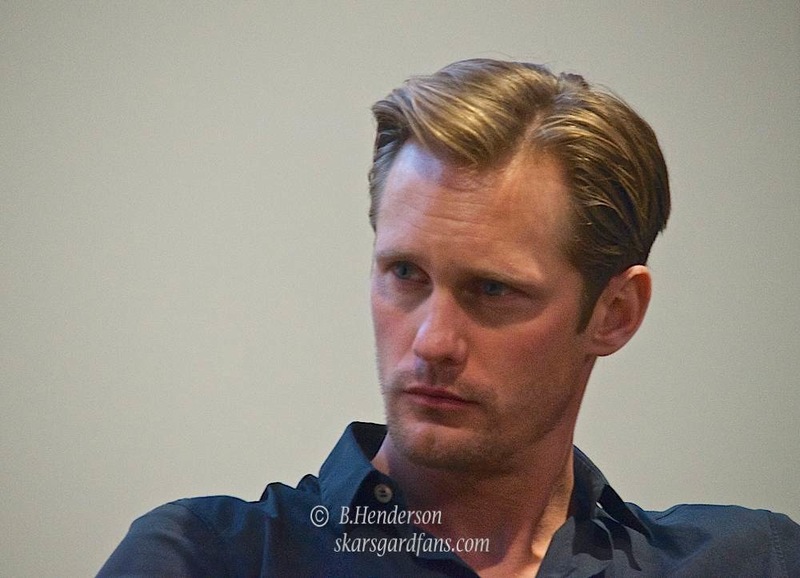 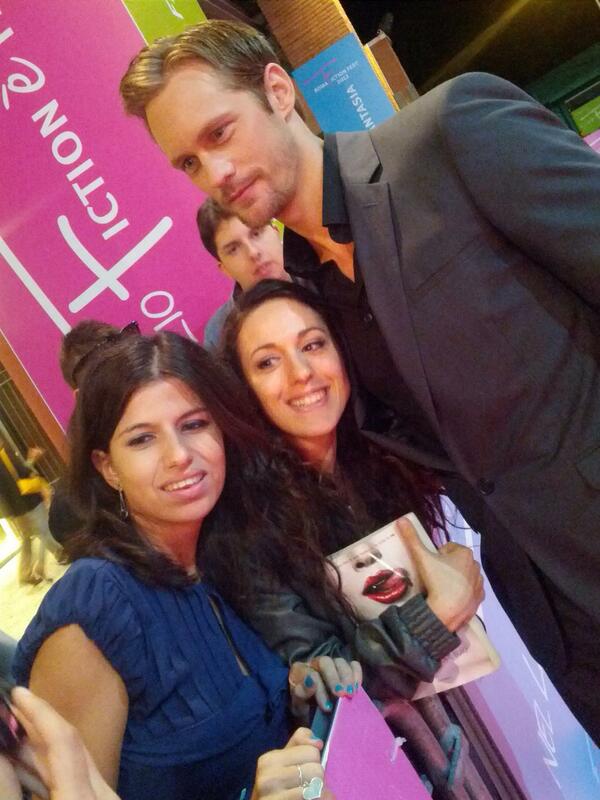 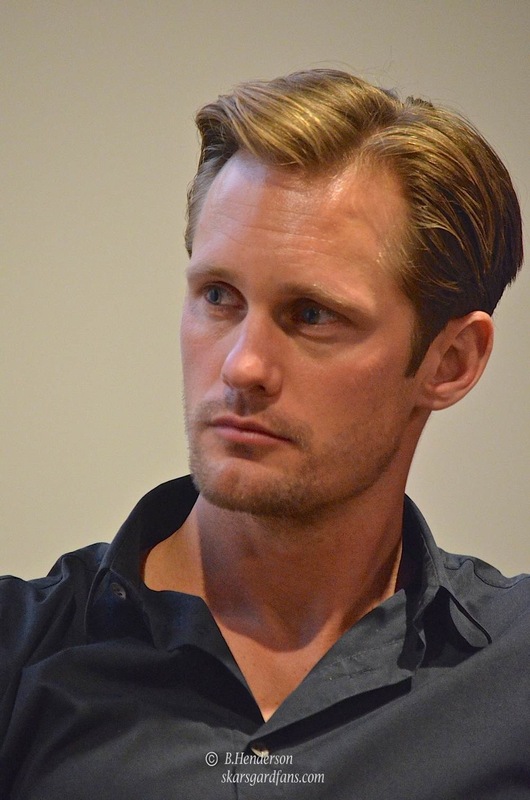 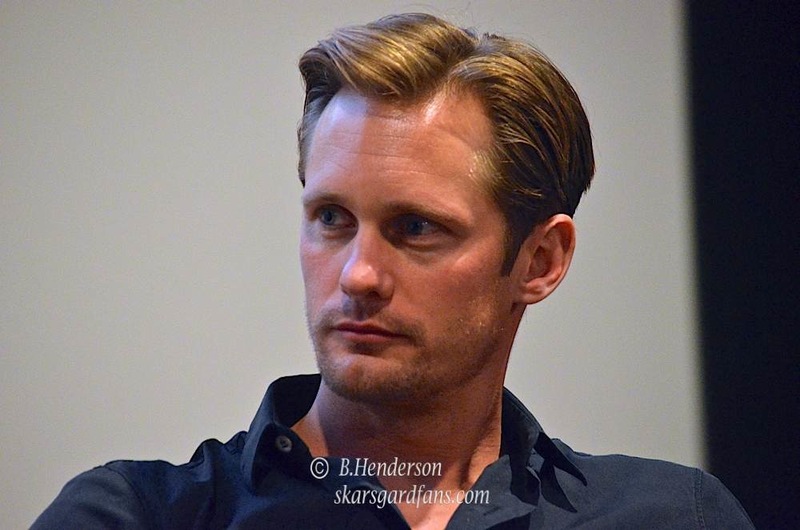 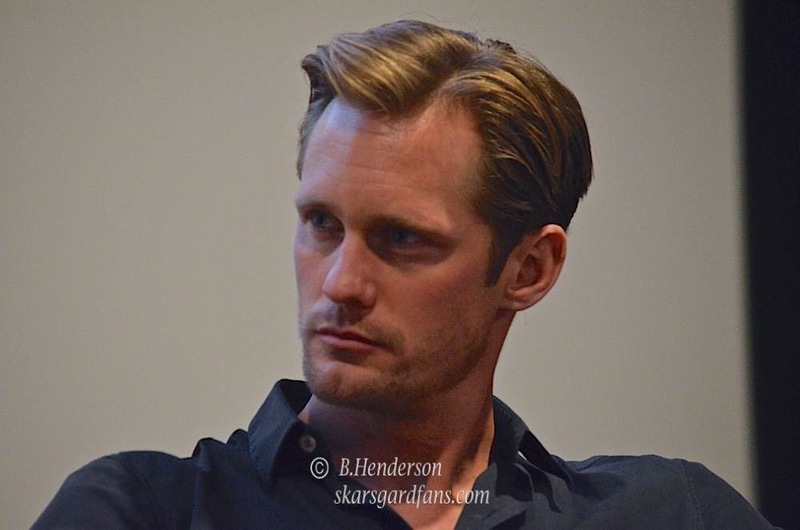 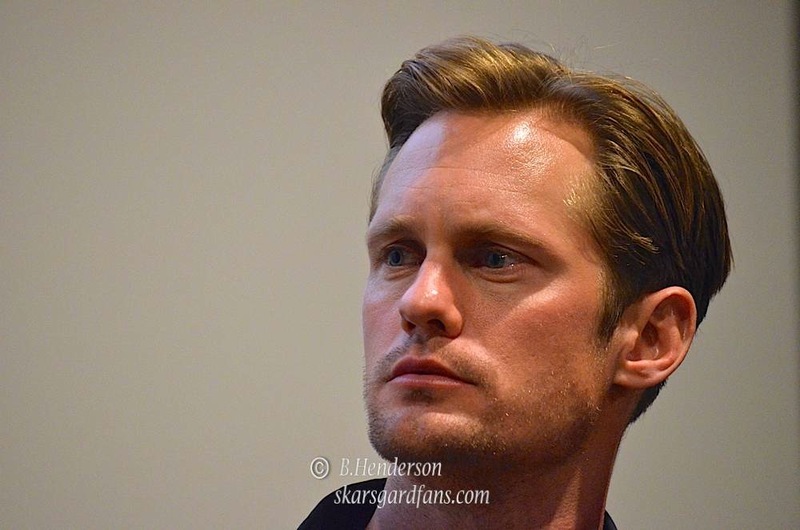 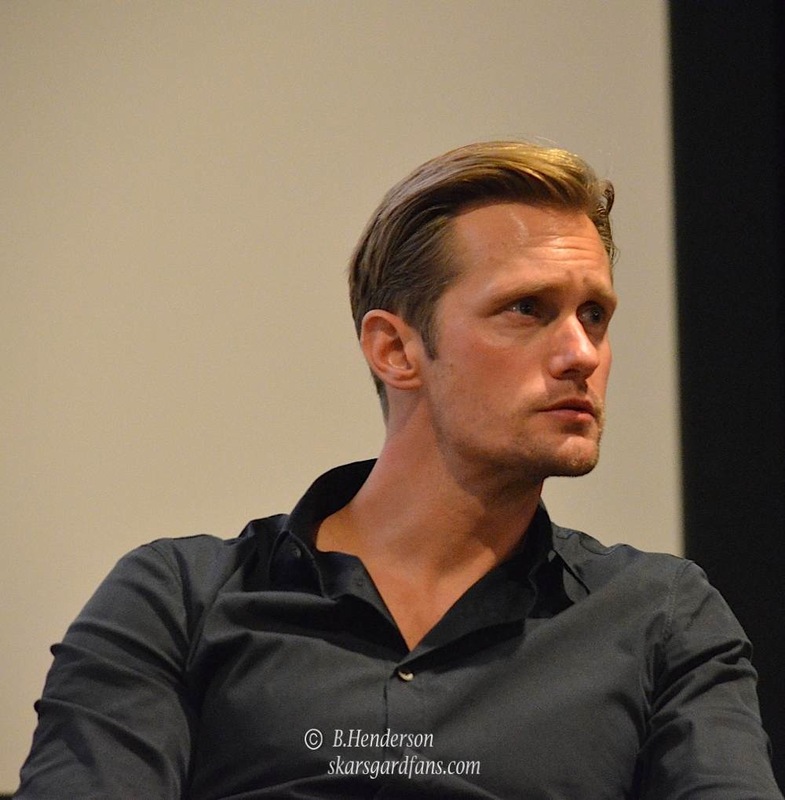 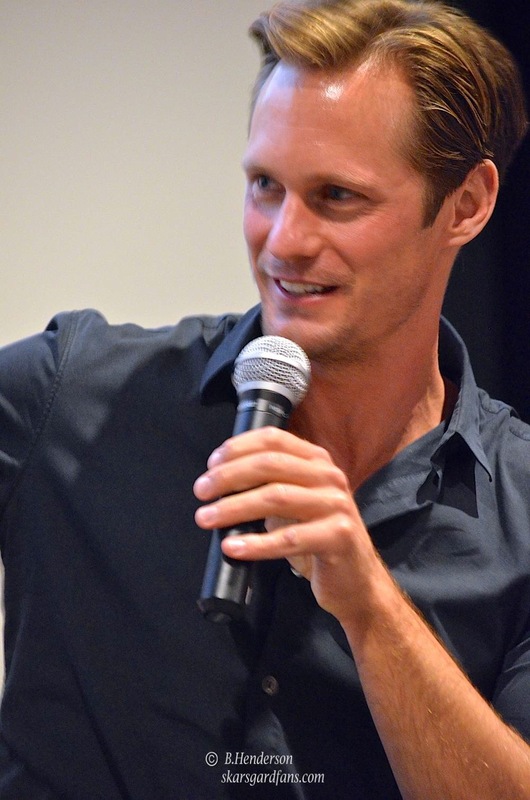 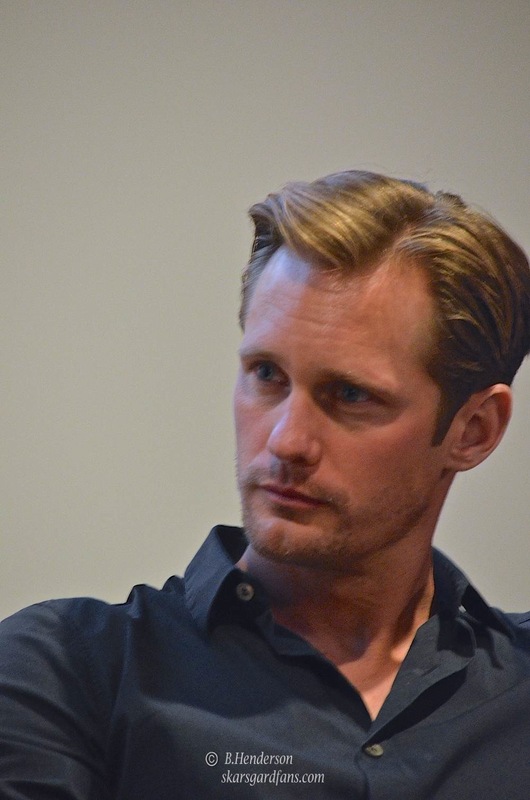 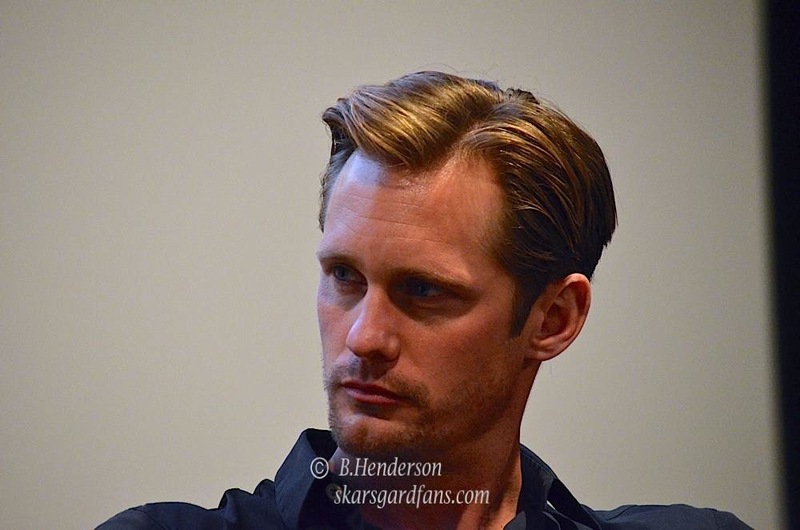 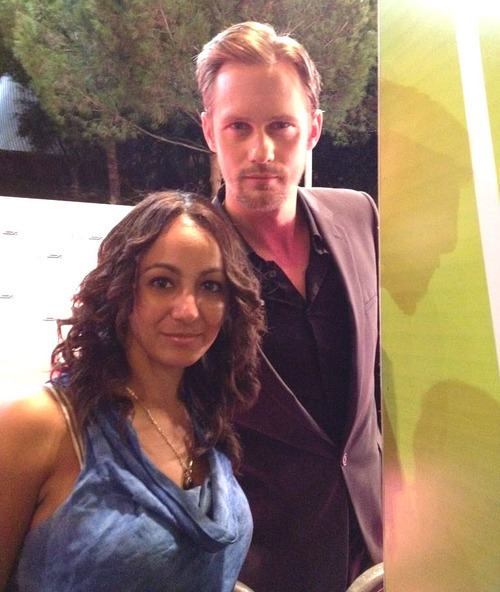 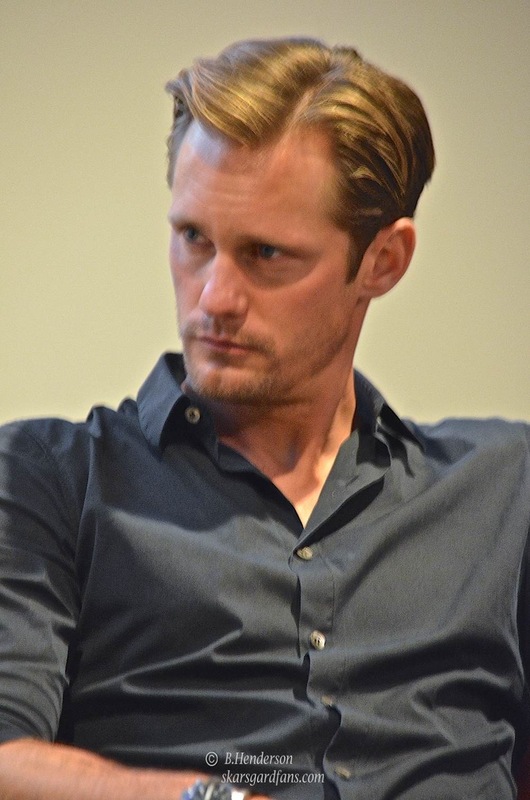 This entry was posted in Photos and tagged Alexander Skarsgard, Alexander Skarsgard 2012, Alexander Skarsgard images, Alexander SKarsgard new photos, Alexander Skarsgard photos, Rome Fiction Fest, True Blood on October 5, 2012 by admin. 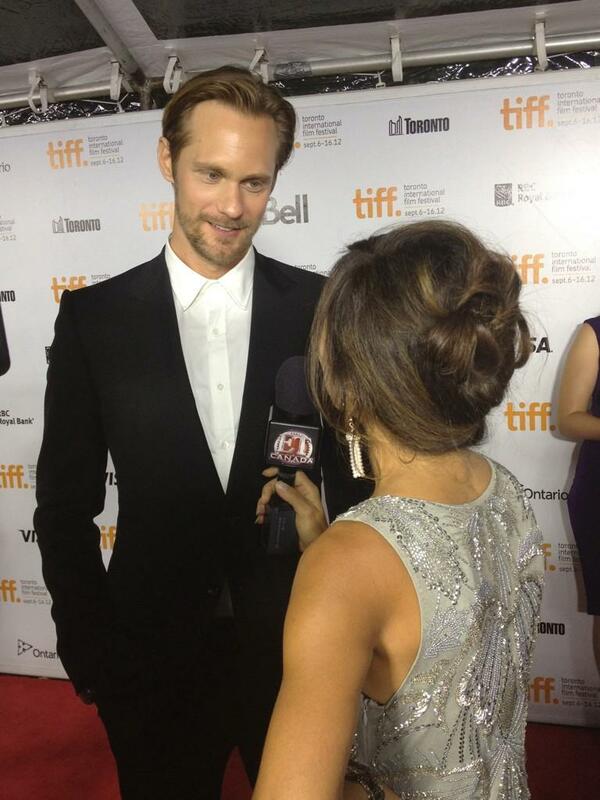 As promised here are some of the new photos of Alexander Skarsgard from the Toronto International Film Festival. 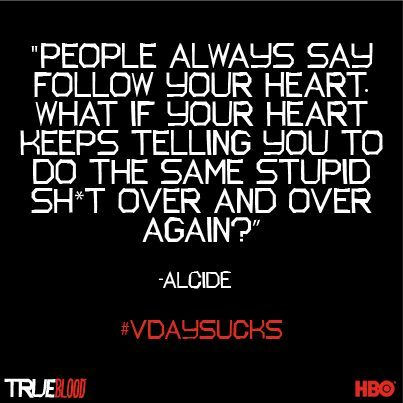 I will keep adding as more start showing up. 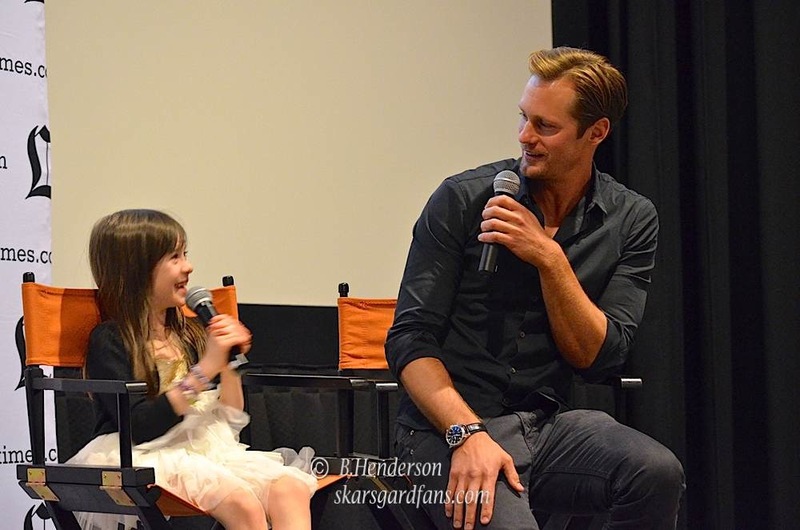 Huge thanks to Marvelandwhimsy for the fun gifs!! 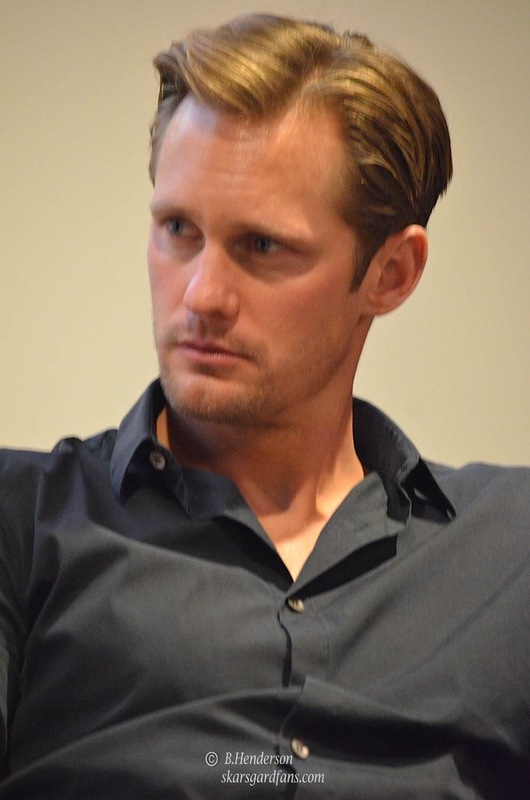 SOURCE: Great tumblr to follow!! 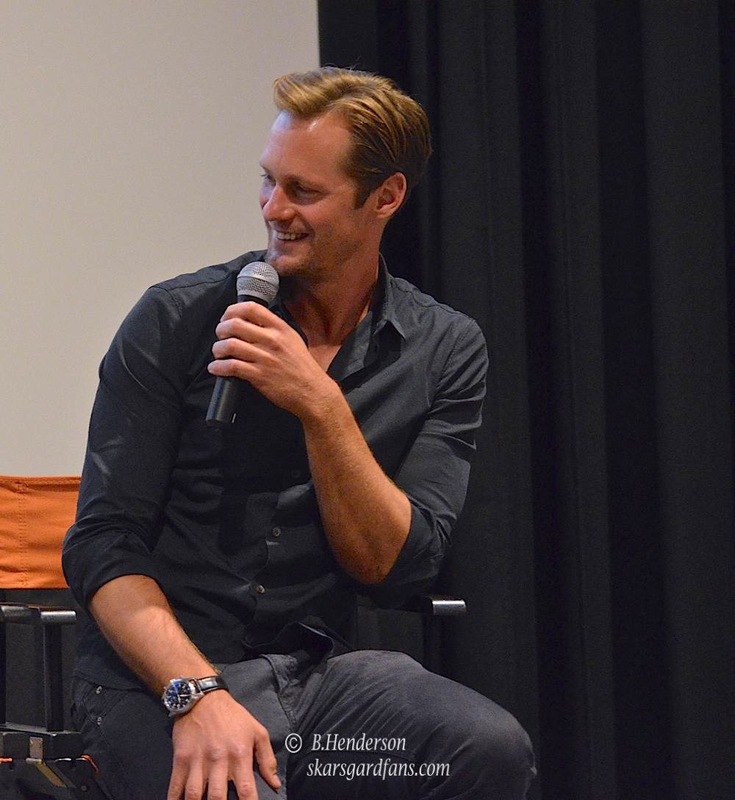 This entry was posted in Photos and tagged Alexander Skarsgard, Alexander SKarsgard new photos, Alexander Skarsgard photos, TIFF 2012 on September 7, 2012 by admin. 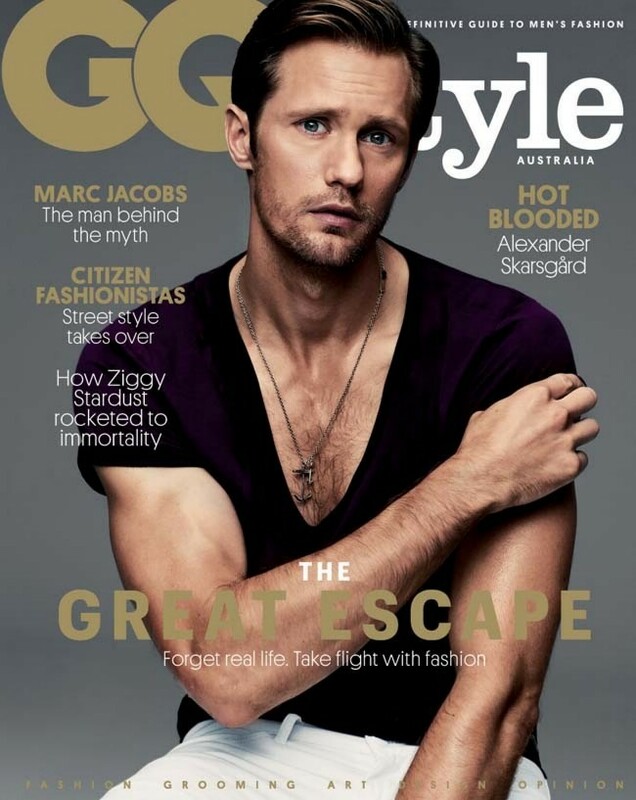 Alexander Skarsgard is on the cover of the GQ Style Australia magazine for Spring/Summer 2012. 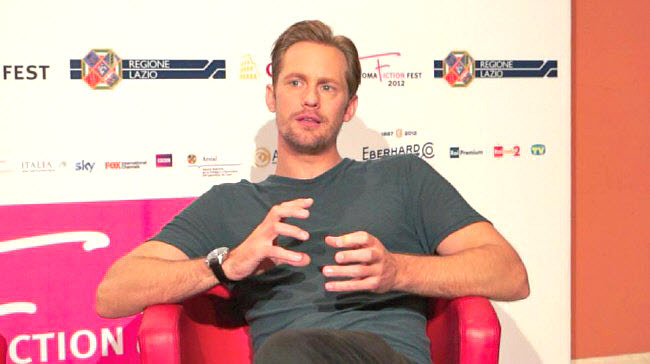 The cover is shown above and he was also interviewed for the magazine. 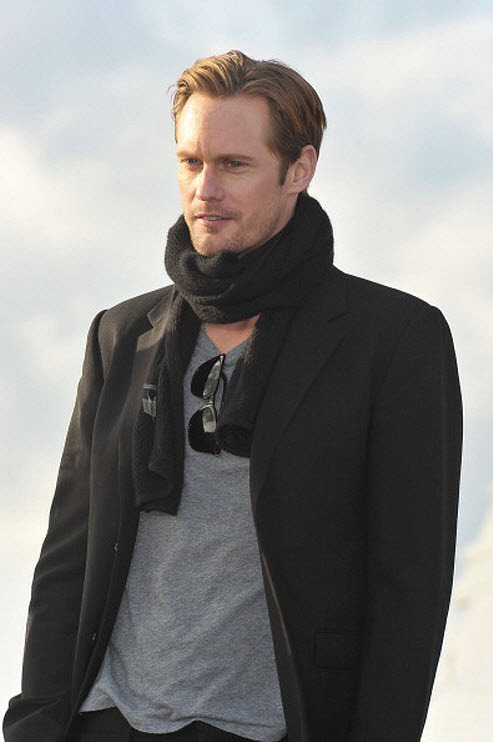 Read the full article and see the full photo shoot in GQStyle‘s spring/summer 2012/13 issue, on sale Monday 3 September. 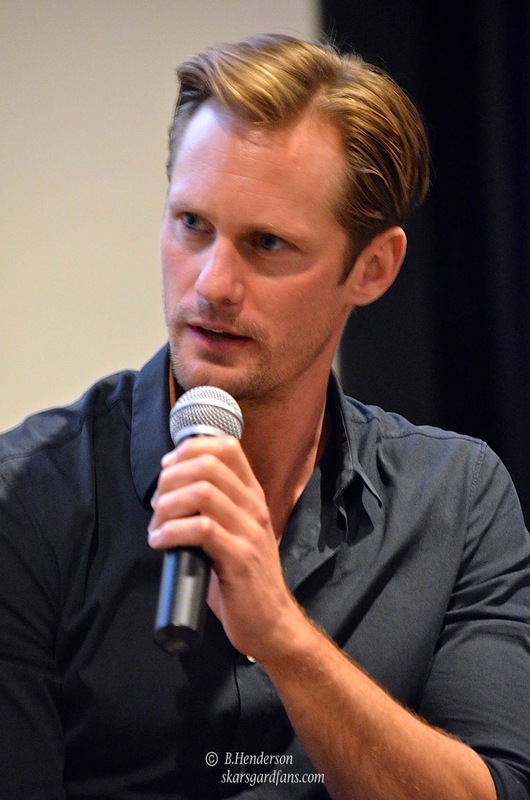 That’s Alexander Skarsgård speaking. 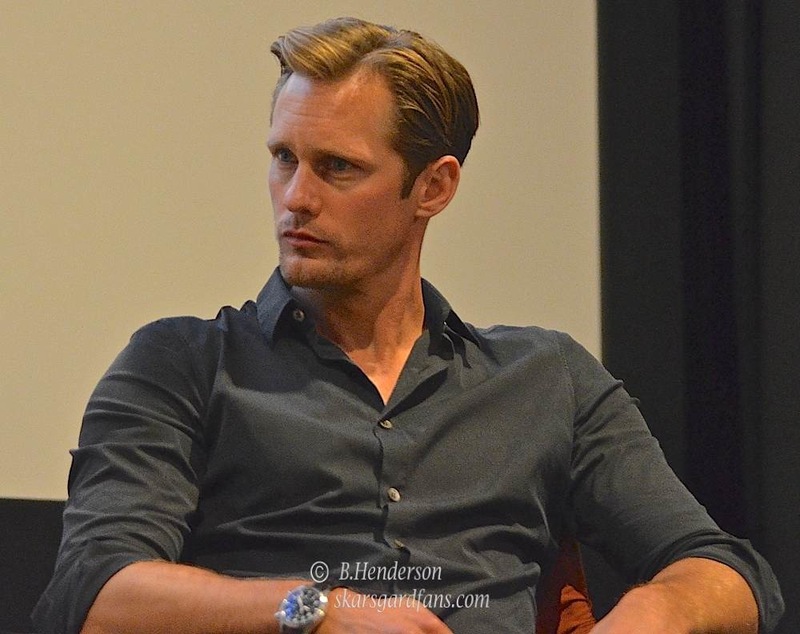 And while we respect his need to unplug, it’s hard to sympathise with the guy given that he’s staring at himself in the mirror as a gorgeous woman massages his bronzed arms with moisturiser. 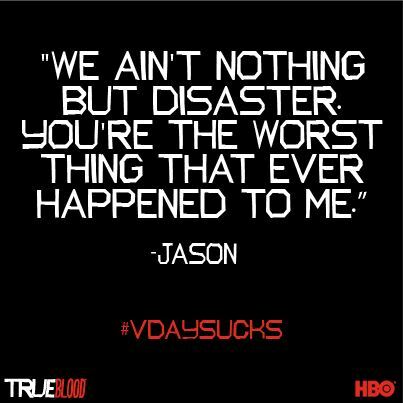 Things could be worse. 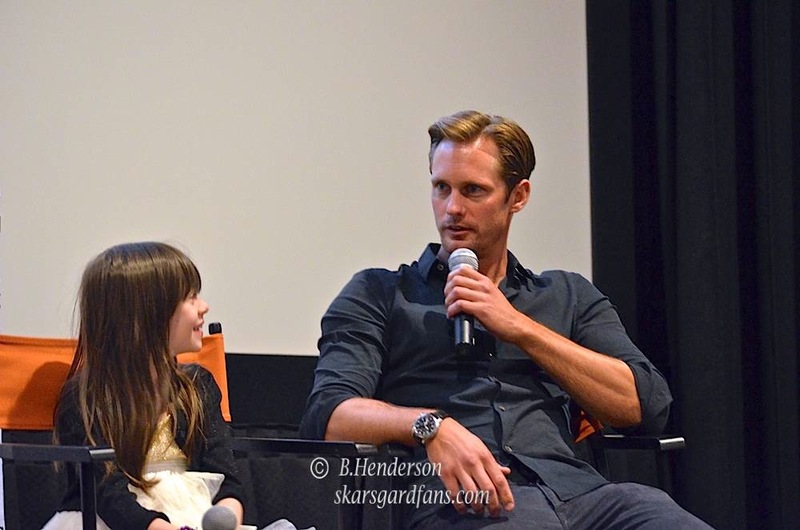 This is kind of what Skarsgård’s life is like these days — mostly work, a little bit of play. 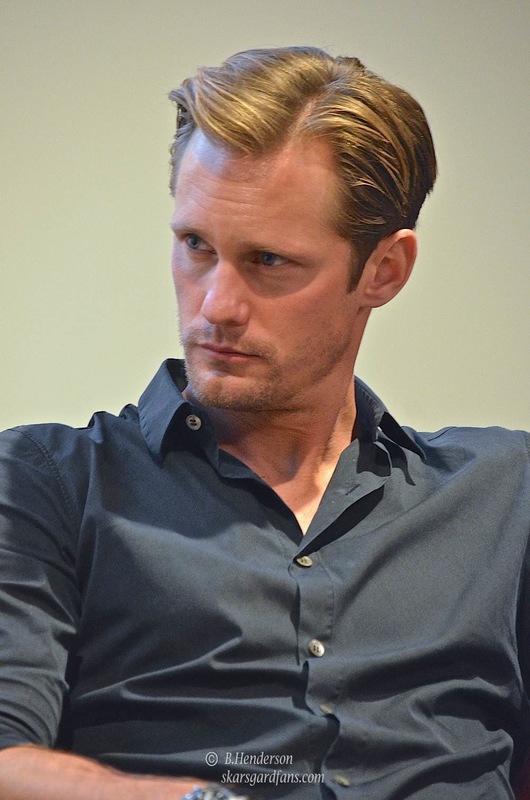 In the last month (in no particular order) he’s been named the face of Encounter, Calvin Klein’s latest cologne that’s available here October 28, wrapped production on the fifth season of True Blood, taken a 13-hour flight to Sweden to visit family — for the weekend — and prepped for his next project, Hidden, a thriller set almost entirely in an underground bunker. 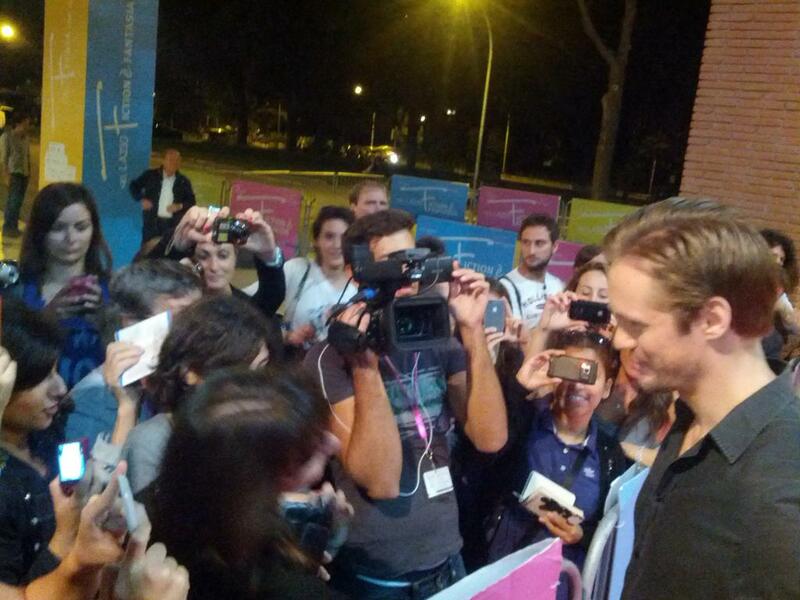 If Hollywood’s welcomed him with open arms and thick pay-cheques it’s for good reason. 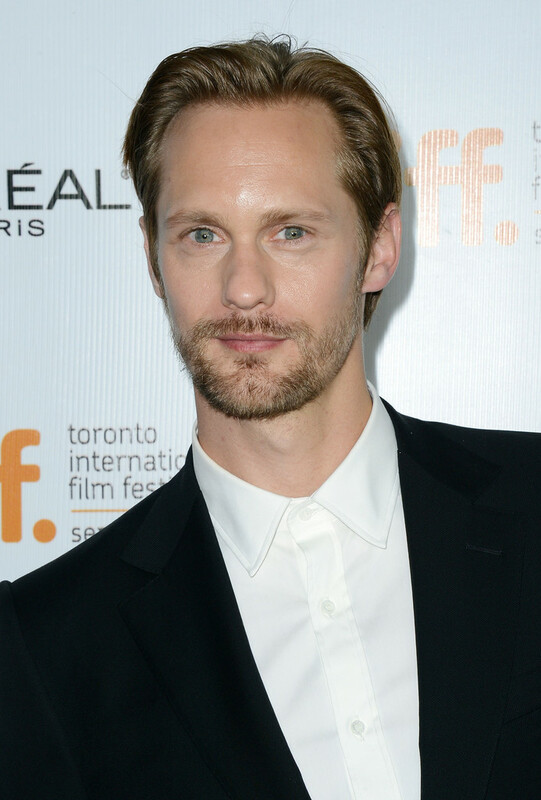 Skarsgård, 36, is that rare thing: a walking Ken doll with the chops to impress art-house directors like Lars von Trier, but also the Alpha Male presence needed to float action flicks like Battleship (for the record, more watchable than you’ve heard). 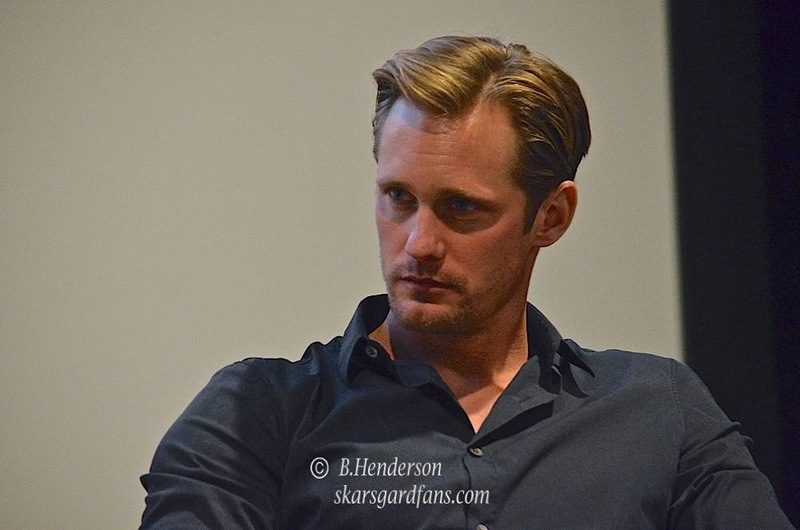 Excitement levels are so high that at a recent appearance at Comic-Con, the annual confab for sci-fi geeks held in southern California, presidential-grade security measures were needed to protect Skarsgård and the rest of his undead cast. 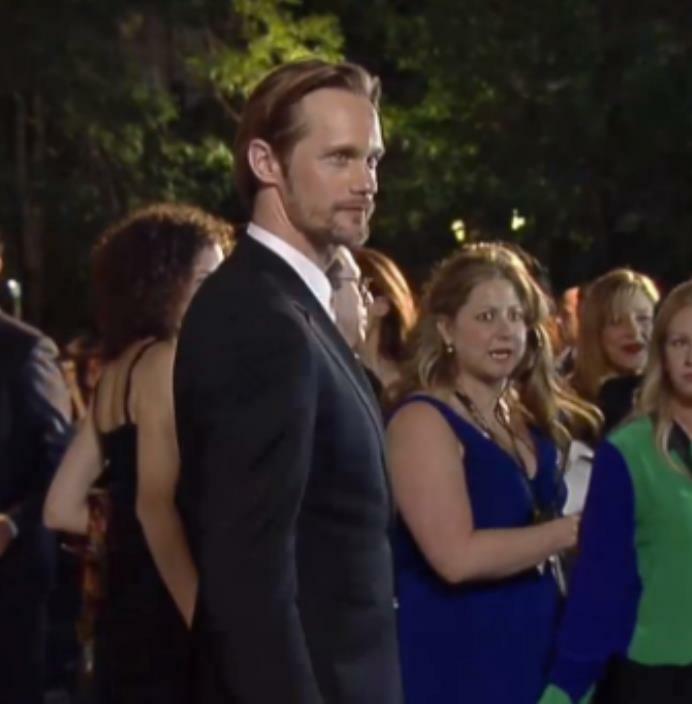 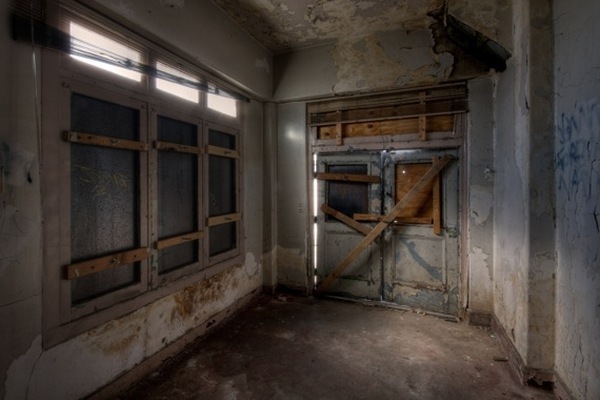 “There was a motorcade from the hotel in through the garage and up into the building,” he says. 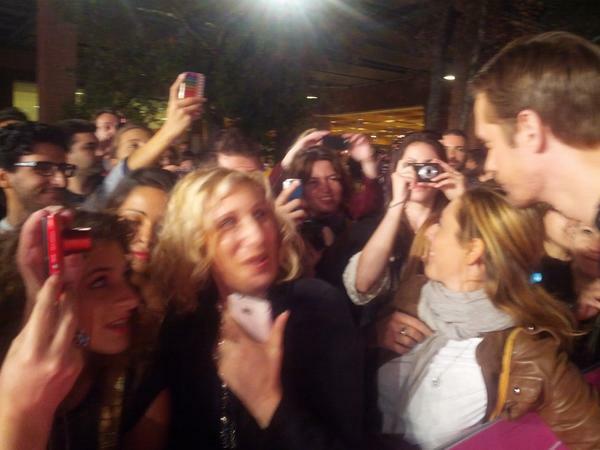 Some 5000 fans waited inside. 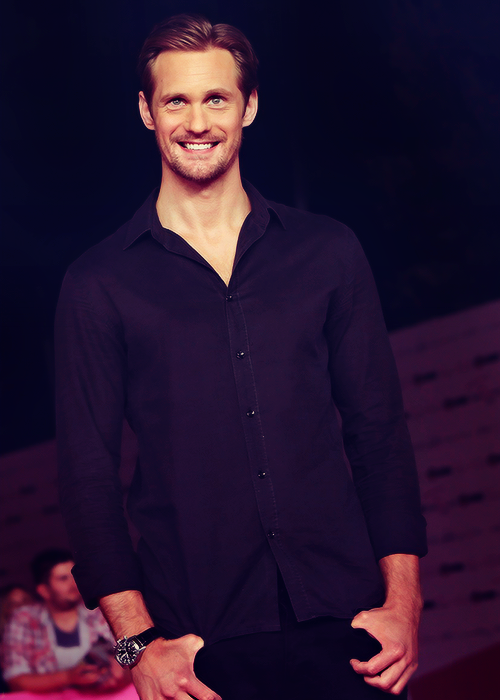 What did it sound like when he stepped out on that stage? 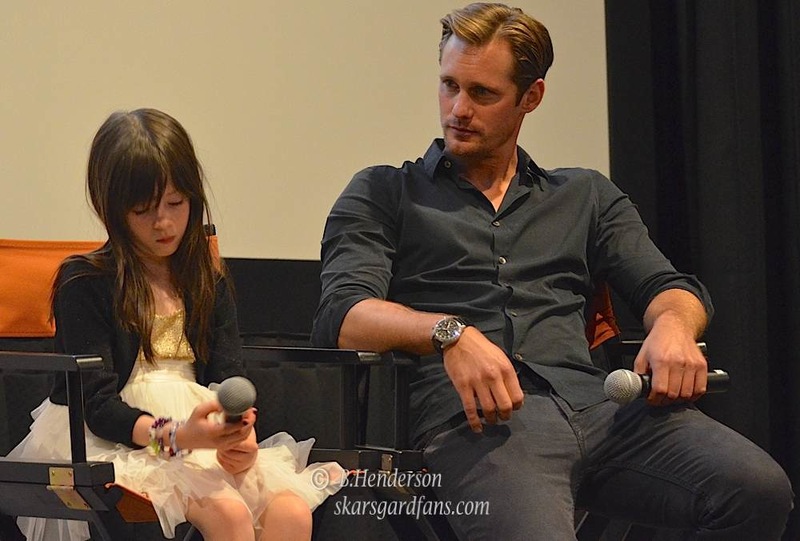 And to think there was a time when he didn’t want this life. 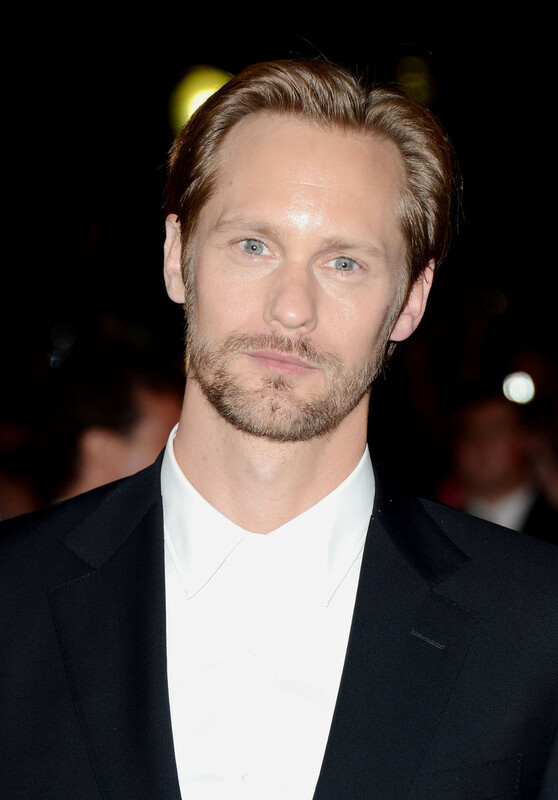 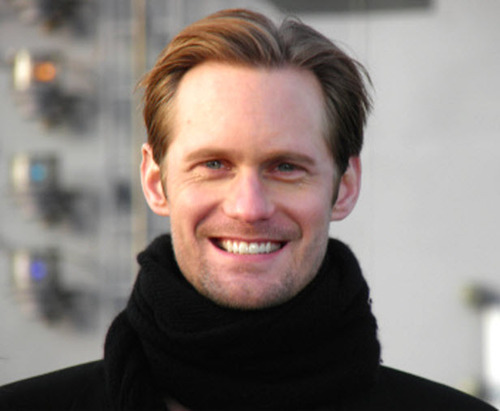 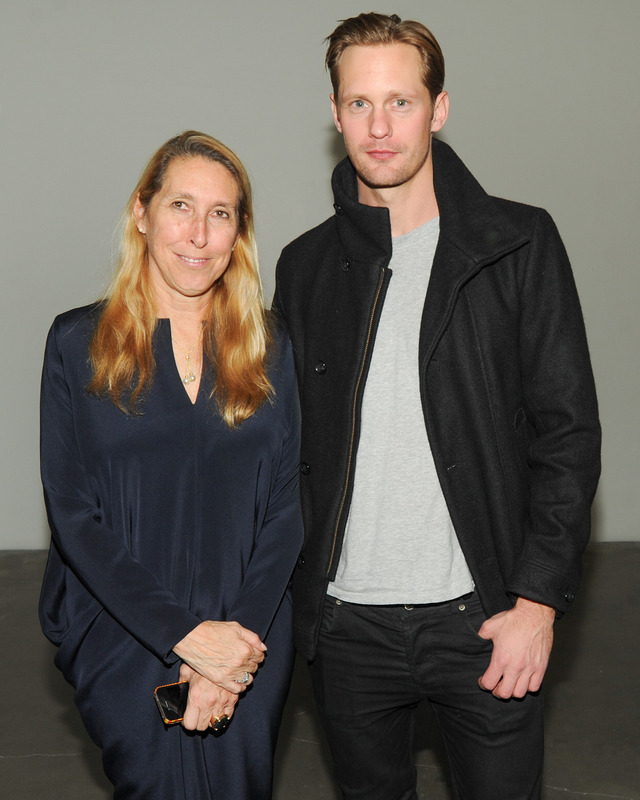 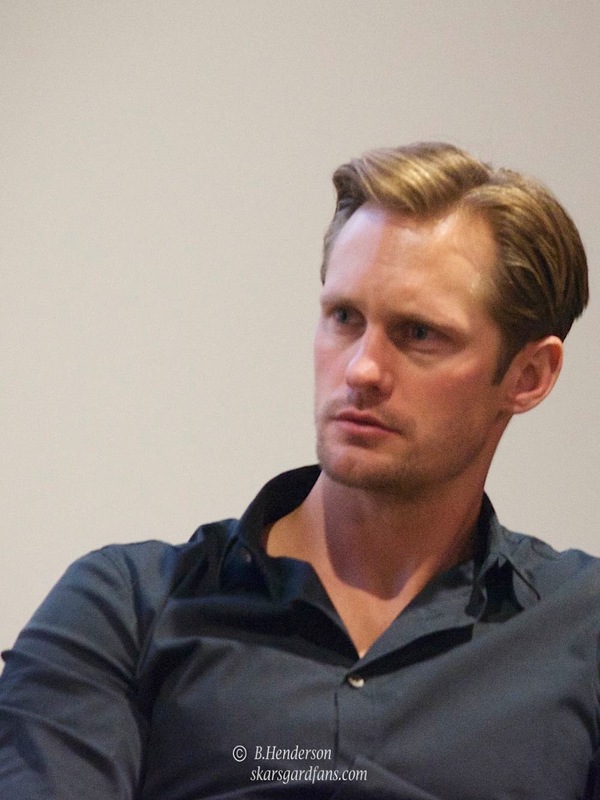 In a roundabout way, Alexander Skarsgård was born into the business. 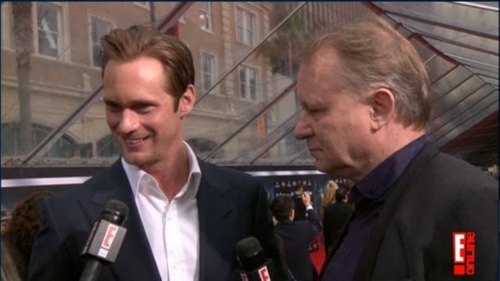 The son of Stellan Skarsgård, the noted Swedish actor (great in everything from Mamma Mia! 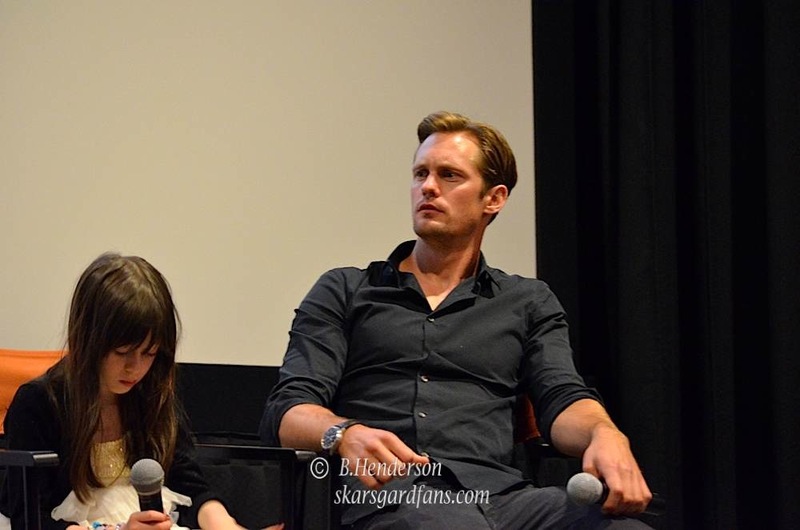 to The Girl With the Dragon Tattoo), he was Hollywood by way of south Stockholm. 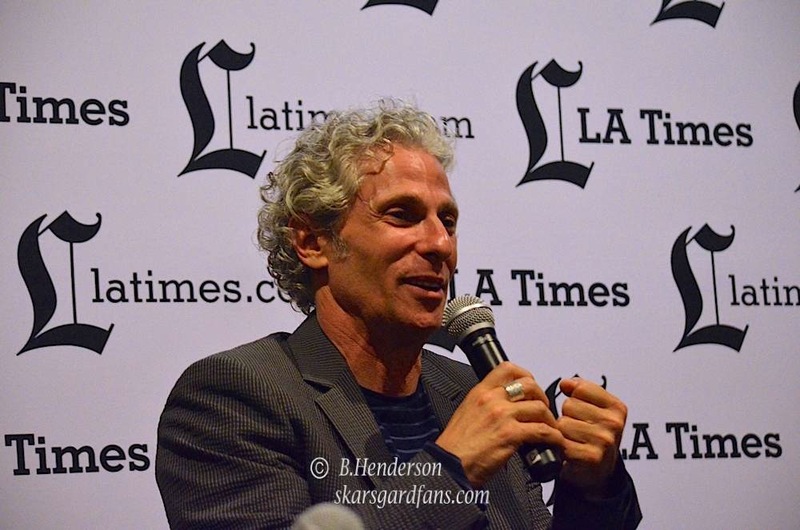 “Most of my dad’s friends were actors, directors, artists, musicians,” he says, and he was raised in a bohemian paradise of late nights, exceptional food and adult conversation. 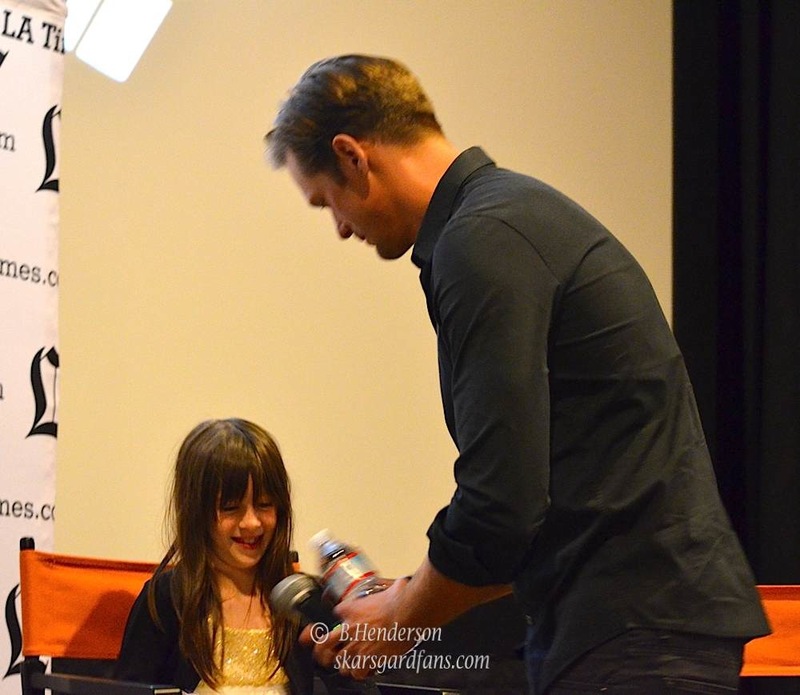 “It was artistic and lovely,” he adds. 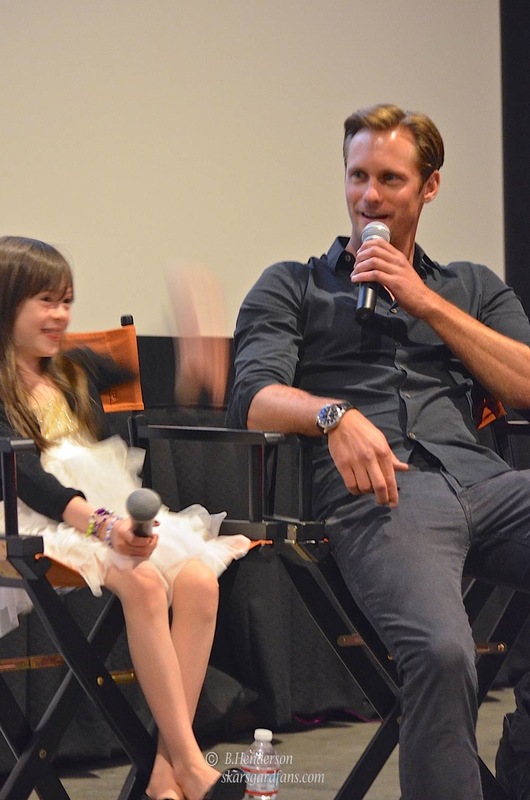 At age 13, one of those friends cast him in a home-grown TV production, The Dog That Smiles, which made Skarsgård an overnight star. 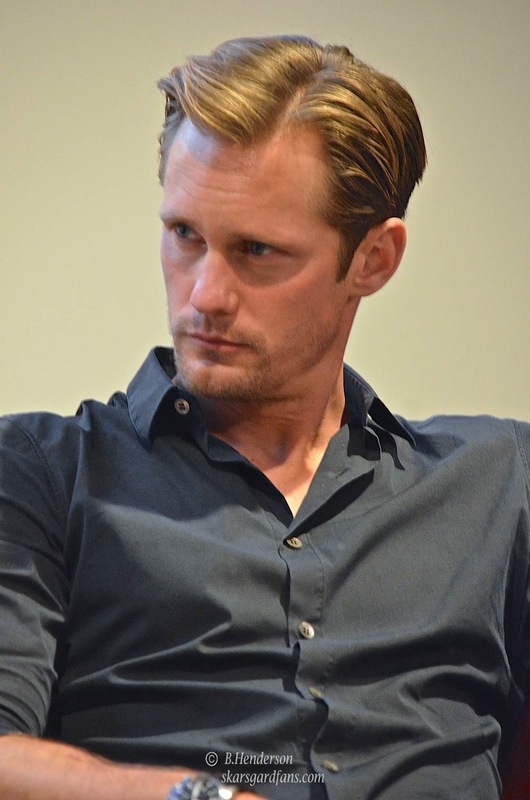 The experience of being recognised on the streets was curious, if also deeply unsettling, and sent him running in the opposite direction. 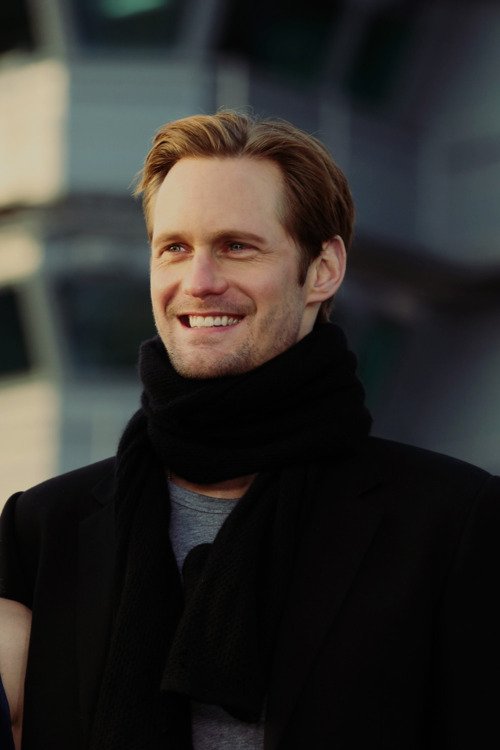 It would be seven years before he stepped in front of a camera again, choosing instead to shave his head and enlist in the Swedish navy. 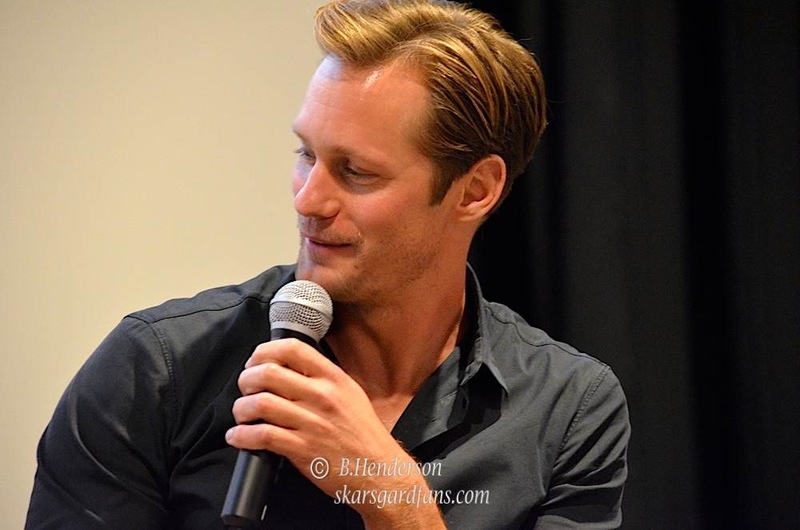 This entry was posted in News and tagged Alexander Skarsgard, Alexander Skarsgard Interview, Alexander SKarsgard new photos, Comic Con 2012, True Blood on August 31, 2012 by admin. 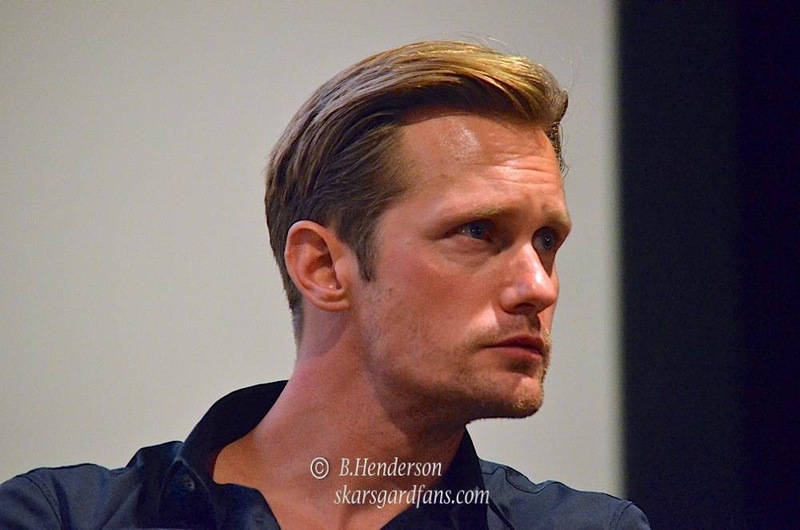 This entry was posted in Photos and tagged Alexander Skarsgard, Alexander SKarsgard new photos, Avengers, Stellan Skarsgard, True Blood on April 11, 2012 by admin. 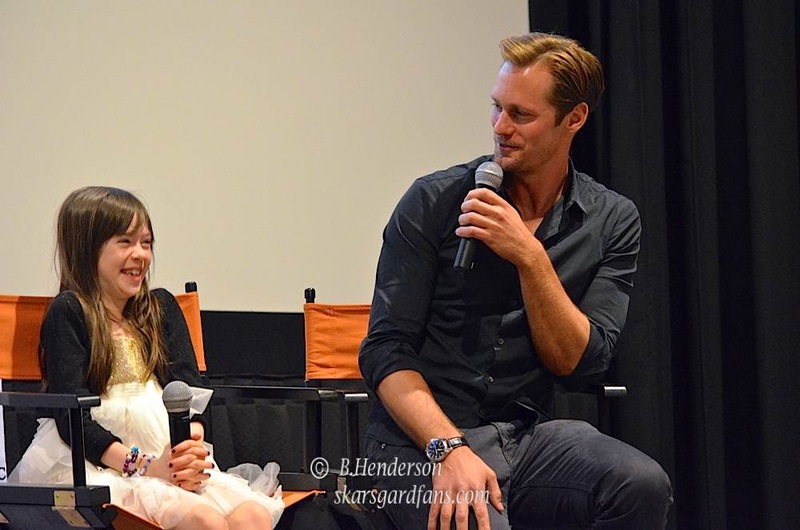 Alexander Skarsgard, Taylor Kitsch, Rihanna, and Brooklyn Decker visited Sailors and their families Commander Fleet Activities Yosuka (CFAY) during a meet and greet for Battleship. 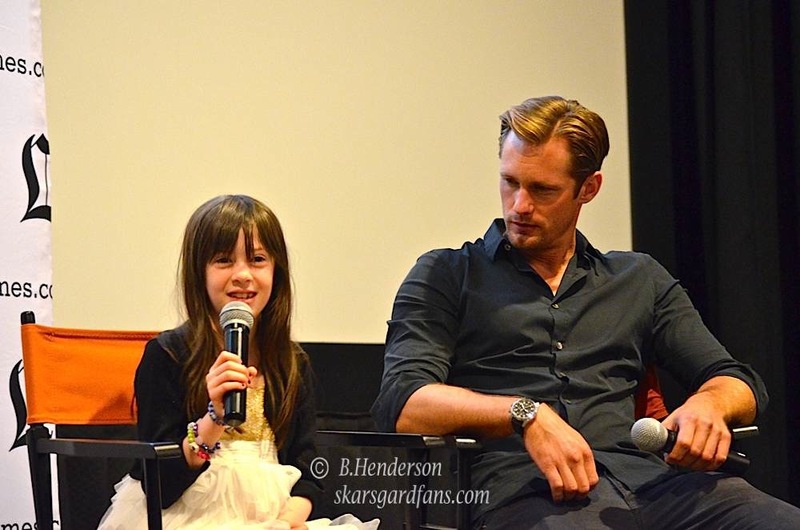 Event was held at Benny Theater on 4/2/2012. 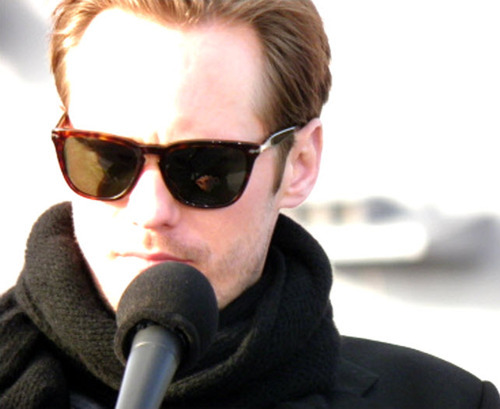 Director Peter Burg and actors Taylor Kitsch, Alexander Skarsgård, Brooklyn Decker, Rihanna and Tadanobu Asano met with Commander, Fleet Activities Yokosuka, Capt. 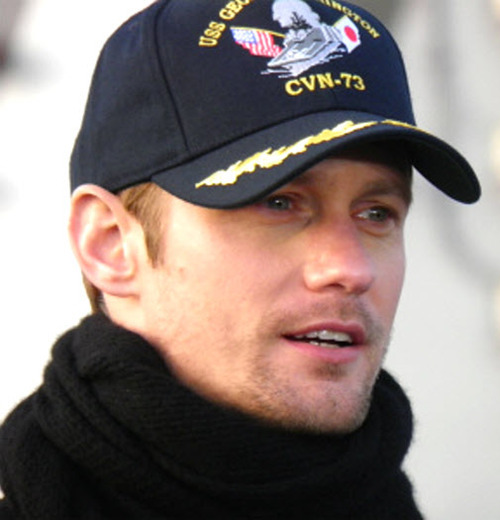 David A. Owen, participated in a question and answer forum and took photos with the Sailors. 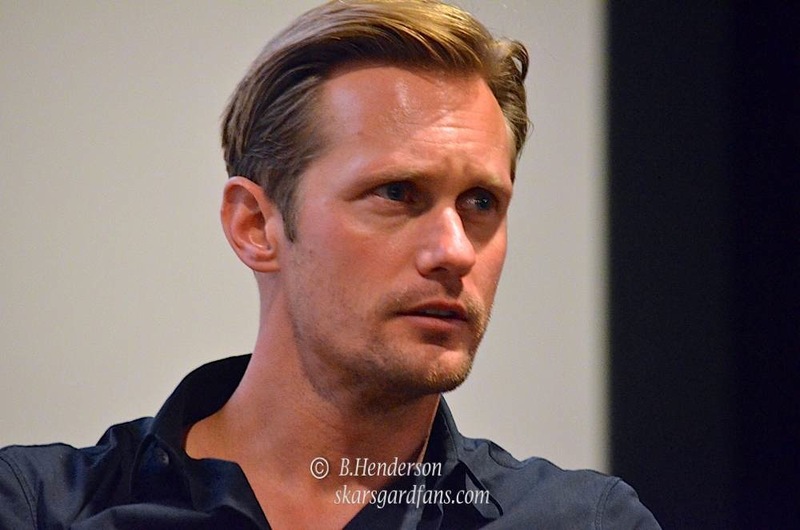 This entry was posted in Photos and tagged Alexander Skarsgard, Alexander SKarsgard new photos, Battleship, Brooklyn Decker, Peter Berg, Rihanna, Taylor Kitsch, True Blood on April 3, 2012 by admin. 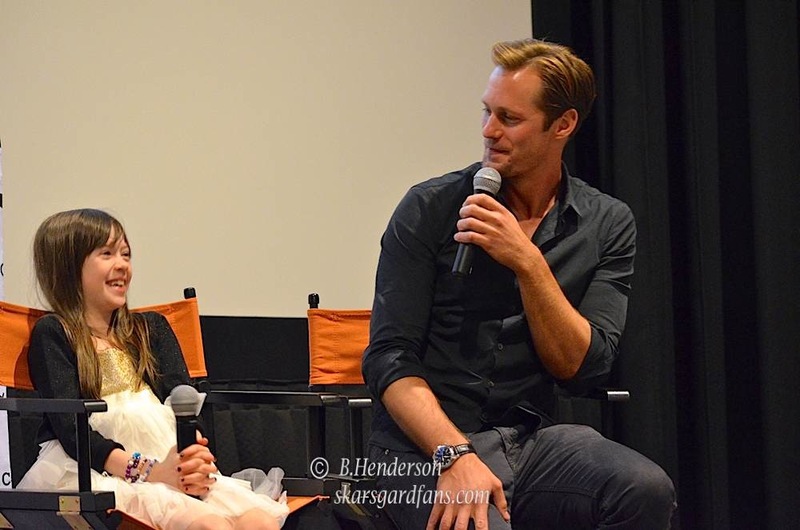 Alexander Skarsgard, Brooklyn Decker and Peter Berg attended the Battleship panel at WonderCon 2012. 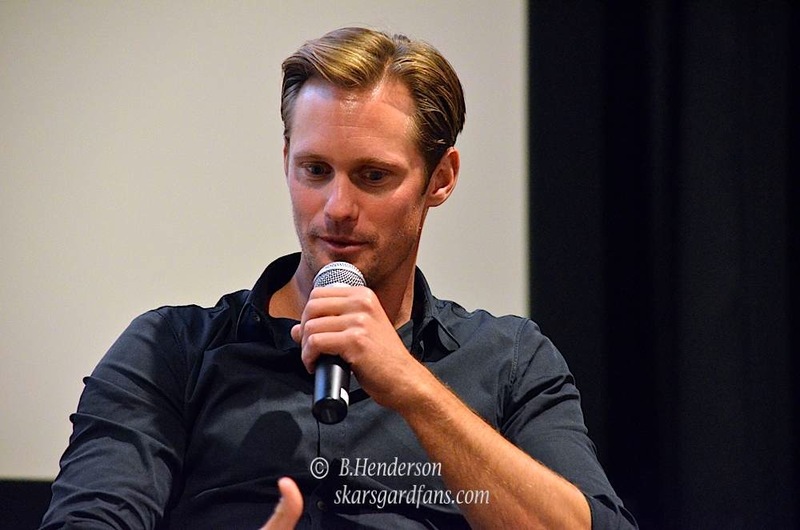 They showed a new trailer that featured more of Alexander Skarsgard’s character of Stone Hopper interacting with his on screen brother Taylor Kitsch. 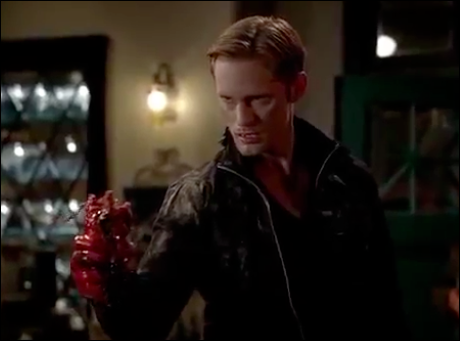 The trailer shows the brothers at a bar celebrating Kitsch’s birthday and big brother Stone is buying him drinks. 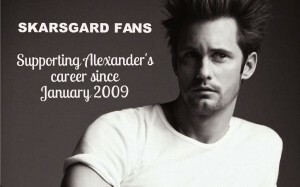 (complete with a celebratory birthday cupcake). 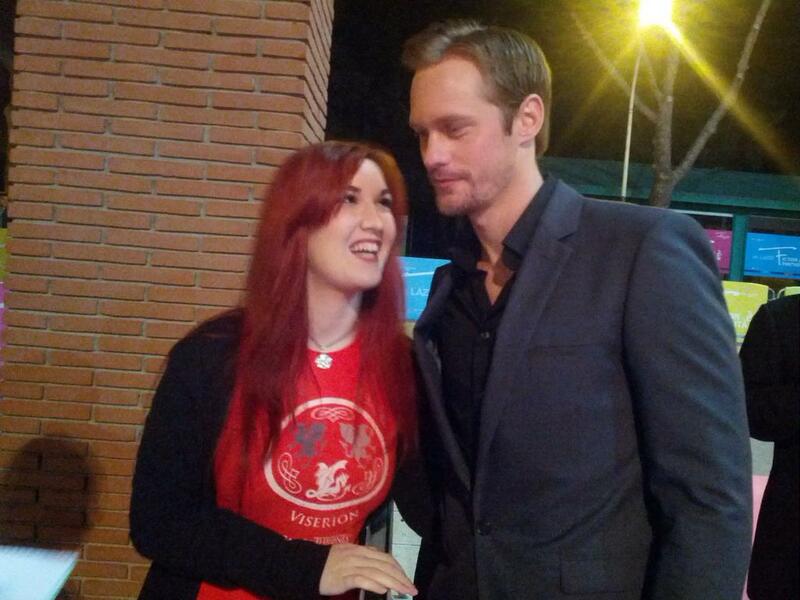 Kitsch sees Brooklyn at the bar and of course makes a wish for her. 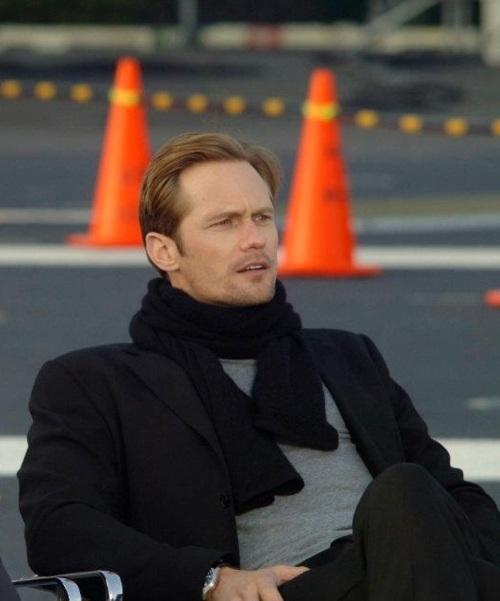 He is unemployed and big brother Stone is in the Navy. 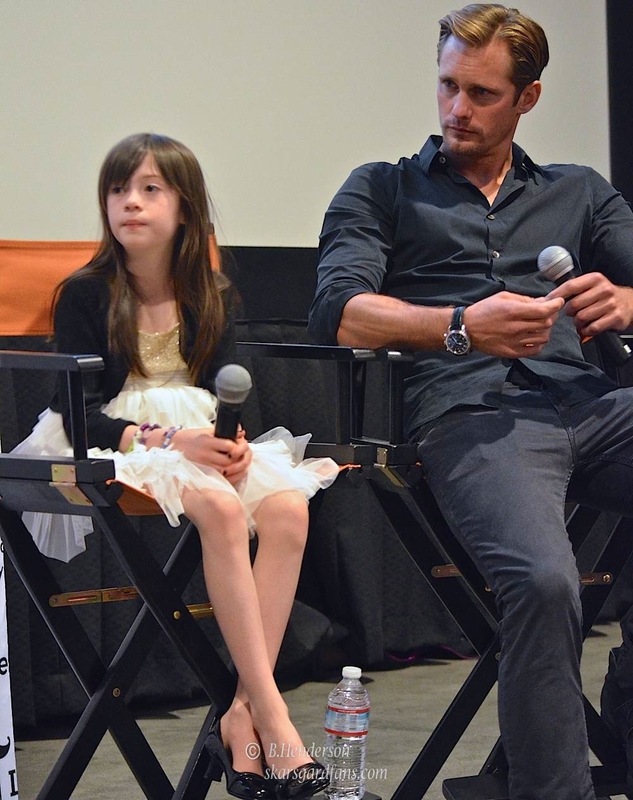 We learn that Stone is following in their father’s footsteps and looks out for his younger brother. 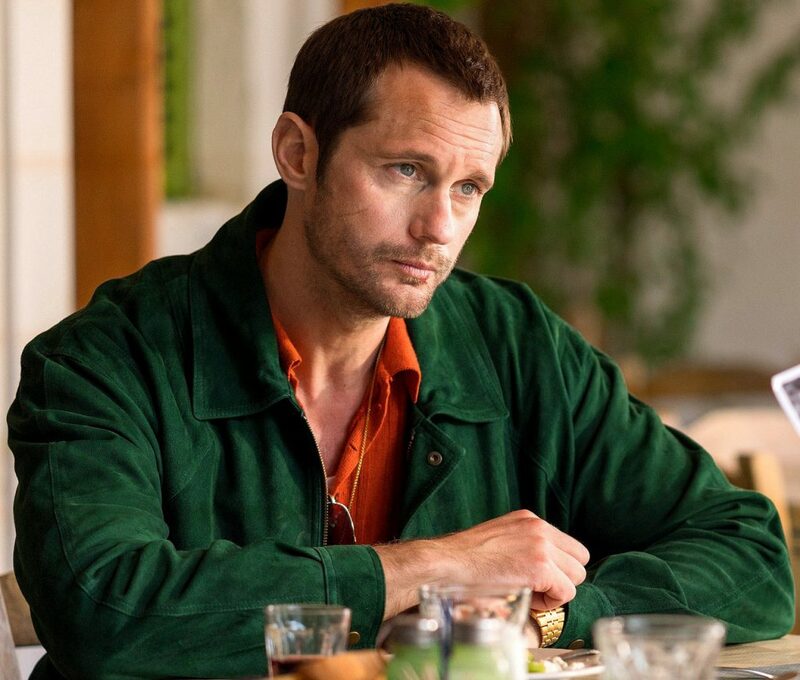 Kitsch does his best to impress Brooklyn in the bar and winds up trying to procure a chicken burrito for the hungry beauty. 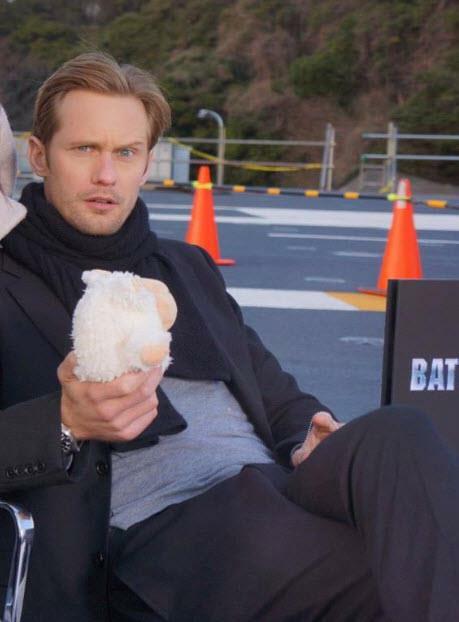 He goes to great lengths to obtain the burrito and it was quite a comical scene. 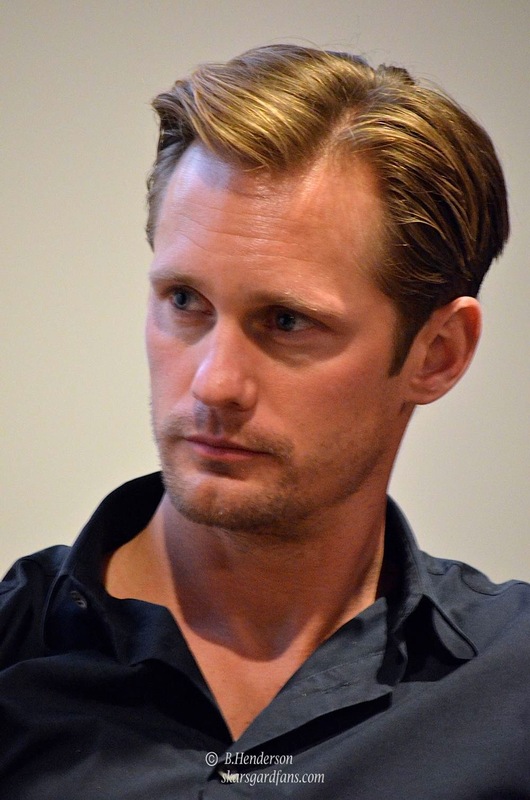 The next trailer shown has a time jump of five years into the future and Kitsch is now in the Navy and has really cleaned up his act. 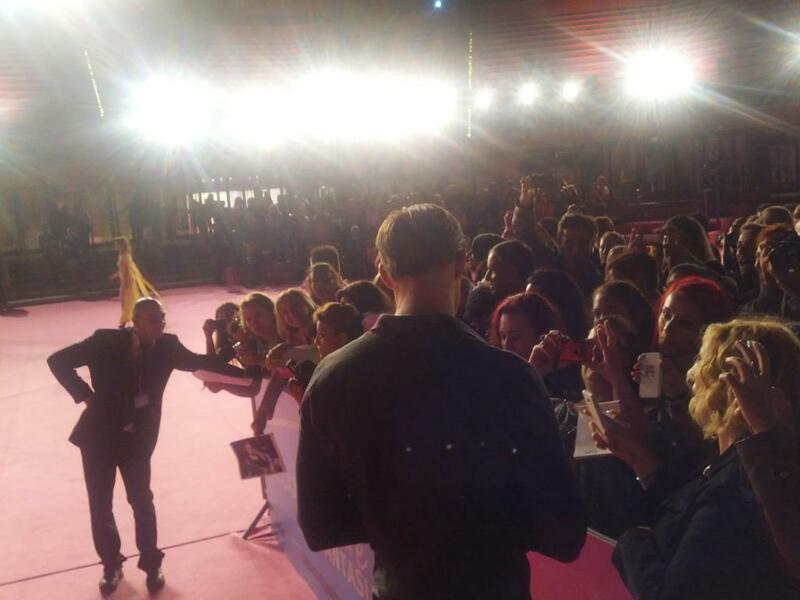 The second trailer also featured some of the action showing Rihanna in her acting debut. 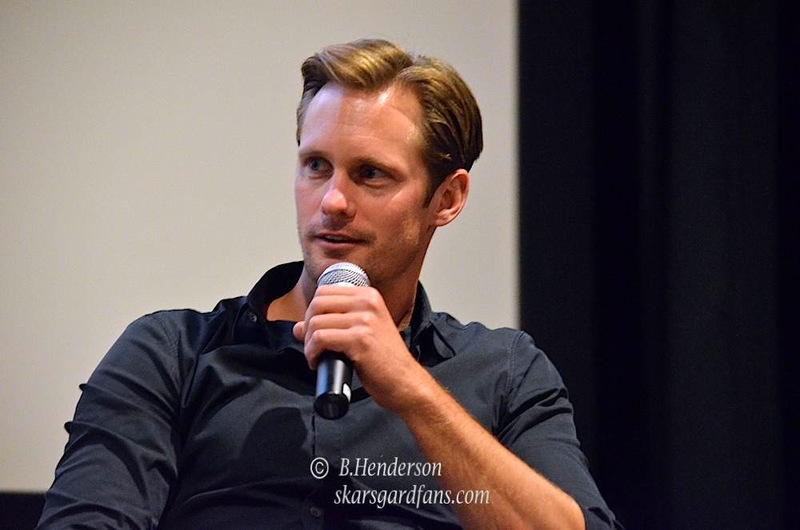 This entry was posted in Comic Con, Photos and tagged Alexander Skarsgard, Alexander Skarsgard 2012, Alexander SKarsgard new photos, Alexander Skarsgard photos, Battleship, Brooklyn Decker, Peter Berg, WonderCon 2012 on March 18, 2012 by admin.